“Much has been written about panics and manias, much more than with the most outstretched intellect we are able to follow or conceive; but one thing is certain, that at particular times a great deal of stupid people have a great deal of stupid money…At intervals,…the money of these people—the blind capital, as we call it, of the country—is particularly large and craving; it seeks for someone to devour it, and there is a “plethora’: it finds someone, and there is ‘speculation’: it is devoured and there is ‘panic’”. One of the wisest and most clear-eyed economic thinkers offers a masterful narrative of the crisis and its lessons. With bracing clarity, Blinder shows how the U.S. financial system, which had grown far too complex for its own good--and too unregulated for the public good--experienced a perfect storm beginning in 2007. Things started unraveling when the much-chronicled housing bubble burst, but the ensuing implosion of what Blinder calls the “bond bubble” was larger and more devastating. Some people think of the financial industry as a sideshow with little relevance to the real economy—where the jobs, factories, and shops are. But finance is more like the circulatory system of the economic body: if the blood stops flowing, the body goes into cardiac arrest. When America’s financial structure crumbled, the damage proved to be not only deep, but wide. It took the crisis for the world to discover, to its horror, just how truly interconnected—and fragile—the global financial system is. Some observers argue that large global forces were the major culprits of the crisis. Blinder disagrees, arguing that the problem started in the U.S. and was pushed abroad, as complex, opaque, and overrated investment products were exported to a hungry world, which was nearly poisoned by them. Neil Irwin’s The Alchemists is a gripping account of the most intense exercise in economic crisis management we’ve ever seen, a poker game in which the stakes have run into the trillions of dollars. The book begins in, of all places, Stockholm, Sweden, in the seventeenth century, where central banking had its rocky birth, and then progresses through a brisk but dazzling tutorial on how the central banker came to exert such vast influence over our world, from its troubled beginnings to the Age of Greenspan, bringing the reader into the present with a marvelous handle on how these figures and institutions became what they are – the possessors of extraordinary power over our collective fate. What they chose to do with those powers is the heart of the story Irwin tells.Irwin covered the Fed and other central banks from the earliest days of the crisis for the Washington Post, enjoying privileged access to leading central bankers and people close to them. His account, based on reporting that took place in 27 cities in 11 countries, is the holistic, truly global story of the central bankers’ role in the world economy we have been missing. It is a landmark reckoning with central bankers and their power, with the great financial crisis of our time, and with the history of the relationship between capitalism and the state. Definitive, revelatory, and riveting, The Alchemists shows us where money comes from—and where it may well be going. "Hell is empty, and all the devils are here." -Shakespeare, The Tempest Before the dust even settled, competing theories emerged to explain the financial crisis. Should the blame fall on Wall Street, Main Street, or Pennsylvania Avenue? On greedy traders, clueless homeowners, or timid regulators? Or on foreign culprits in London, Beijing, or Tehran? Bethany McLean and Joe Nocera, two of America's most acclaimed business journalists, offer the definitive answer: all of the above and more. This surprising narrative goes back more than twenty years to reveal, in rich, anecdotal detail, how Wall Street, the mortgage industry, and the government conspired to change the way Americans bought their homes, creating a perfect storm. The authors take us inside elusive institutions such as Goldman Sachs, AIG, and Fannie Mae, to reveal who changed the game and why. With new, sometimes startling details, and a surprising cast of characters, they get for the first time to the real roots of the financial crisis. It wasn't about credit default swaps, collateralized debt obligations, or other complexities. It was about basic human psychology-from the poorest Florida home buyer to the richest CEO. Just as McLean's The Smartest Guys in the Room was hailed as the best Enron book on a crowded shelf, so will All the Devils Are Here be remembered for finally making sense of the road to the meltdown. The global financial crisis has made it painfully clear that powerful psychological forces are imperiling the wealth of nations today. From blind faith in ever-rising housing prices to plummeting confidence in capital markets, "animal spirits" are driving financial events worldwide. George Akerlof and Robert Shiller challenge the economic wisdom that got us into this mess, and put forward a bold new vision that will transform economics and restore prosperity. They reassert the necessity of an active government role in economic policymaking by recovering the idea of animal spirits, a term John Maynard Keynes used to describe the gloom and despondence that led to the Great Depression and the changing psychology that accompanied recovery. Like Keynes, they know that managing these animal spirits requires the steady hand of government--simply allowing markets to work won't do it. In rebuilding the case for a more robust, behaviorally informed Keynesianism, they detail the most pervasive effects of animal spirits in contemporary economic life--such as confidence and fear, bad faith, corruption, a concern for fairness, and the stories we tell ourselves about our economic fortunes--and show how Reaganomics, Thatcherism, and the rational expectations revolution failed to account for them.Animal Spiritsoffers a road map for reversing the financial misfortunes besetting us today. Read it and learn how leaders can channel animal spirits--the powerful forces of human psychology that are afoot in the world economy today. A riveting indictment of those responsible for our current financial mess. Bailout Nation offers one of the clearest looks at the financial lenders, regulators, and politicians responsible for the financial crisis of 2008. Written by Barry Ritholtz, one of today's most popular economic bloggers and a well-established industry pundit, this book skillfully explores how the United States evolved from a rugged independent nation to a soft Bailout Nation-where financial firms are allowed to self-regulate in good times, but are bailed out by taxpayers in bad times. Entertaining and informative, this book clearly shows you how years of trying to control the economy with easy money has finally caught up with the federal government and how its practice of repeatedly rescuing Wall Street has come back to bite them. The definitive book on the financial crisis of 2008: names the villains responsible for this tragedy-from financial regulators to politicians; shows how each bailout throughout modern history has impacted what happened in the future; examines why the consumer/taxpayer is left suffering in an economy of bubbles, bailouts, and possible inflation. Scathing, but fair, Bailout Nation is a voice of reason in these uncertain economic times. The further we dug into the way TARP was being administered, the more obvious it became that Treasury applied a consistent double standard. In the late fall of 2009, as I began receiving the results of two of our most important audits, the contradiction couldn't have been more glaring. When providing the largest financial institutions with bailout money, Treasury made almost no effort to hold them accountable, and the bounteous terms delivered by the government seemed to border on being corrupt. For those institutions, no effort was spared, with government officials often defending their generosity by kneeling at the altar of the "sanctity of contracts." Meanwhile, an entirely different set of rules applied for homeowners and businesses that were most assuredly small enough to fail. What is wrong with today's banking system? The past few years have shown that risks in banking can impose significant costs on the economy. Many claim, however, that a safer banking system would require sacrificing lending and economic growth.The Bankers' New Clothesexamines this claim and the narratives used by bankers, politicians, and regulators to rationalize the lack of reform, exposing them as invalid. Admati and Hellwig argue we can have a safer and healthier banking system without sacrificing any of the benefits of the system, and at essentially no cost to society. They show that banks are as fragile as they are not because they must be, but because they want to be--and they get away with it. Whereas this situation benefits bankers, it distorts the economy and exposes the public to unnecessary risks. Weak regulation and ineffective enforcement allowed the buildup of risks that ushered in the financial crisis of 2007-2009. Much can be done to create a better system and prevent crises. Yet the lessons from the crisis have not been learned. Admati and Hellwig seek to engage the broader public in the debate by cutting through the jargon of banking, clearing the fog of confusion, and presenting the issues in simple and accessible terms.The Bankers' New Clothescalls for ambitious reform and outlines specific and highly beneficial steps that can be taken immediately. The international financial crisis that has held our global economy in its grip for too long still seems to be in full stride. Former British Prime Minister and Chancellor of the Exchequer Gordon Brown believes the crisis can be reversed, but that the world's leaders must work together if we are to avoid a decade of lost jobs and low growth. Brown speaks both as someone who was in the room driving discussions that led to some crucial decisions and as an expert renowned for his remarkable financial acumen. No one who had Brown's access has written about the crisis yet, and no one has written so convincingly about what the global community must do next in order to climb out of this abyss. Brown outlines the shocking recklessness and irresponsibility of the banks that he believes contributed to the depth and breadth of the crisis. As he sees it, the crisis was brought on not simply by technical failings, but by ethical failings too. Brown argues that markets need morals and suggests that the only way to truly ensure that the world economy does not flounder so badly again is to institute a banking constitution and a global growth plan for jobs and justice. A brilliant account—character-rich and darkly humorous—of how the U.S. economy was driven over the cliff. Truth really is stranger than fiction. Who better than the author of the signature bestseller Liar’s Poker to explain how the event we were told was impossible—the free fall of the American economy—finally occurred; how the things that we wanted, like ridiculously easy money and greatly expanded home ownership, were vehicles for that crash; and how shareholder demand for profit forced investment executives to eat the forbidden fruit of toxic derivatives. Michael Lewis’s splendid cast of characters includes villains, a few heroes, and a lot of people who look very, very foolish: high government officials, including the watchdogs; heads of major investment banks (some overlap here with previous category); perhaps even the face in your mirror. In this trenchant, raucous, irresistible narrative, Lewis writes of the goats and of the few who saw what the emperor was wearing, and gives them, most memorably, what they deserve. He proves yet again that he is the finest and funniest chronicler of our times. Years after the economic crisis of the late 2000s, Americans still want to know what went wrong—and why. Black Box Casino: How Wall Street's Risky Shadow Banking Crashed Global Finance provides an accurate and understandable explanation, compiling and interpreting mountains of evidence to provide clear analysis and insight into the crisis that traumatized people and institutions around the globe. The book provides a thorough, in-depth examination of the multiple contributing factors. The author goes back as far as 15 years before the crisis to show how the well-intentioned idea of providing home ownership prompted a government led effort to steadily weaken credit standards. He assigns partial blame on regulators that were unaware of growing levels of risk, ignored mounting evidence of a housing bubble, and failed to grasp the unintended consequences of certain regulations. The origins of the overload of subprime collateralized debt obligations that led to concentrated risks on the balance sheets of many large banks around the world are also explained. A black swan is a highly improbable event with three principal characteristics: It is unpredictable; it carries a massive impact; and, after the fact, we concoct an explanation that makes it appear less random, and more predictable, than it was. The astonishing success of Google was a black swan; so was 9/11. For Nassim Nicholas Taleb, black swans underlie almost everything about our world, from the rise of religions to events in our own personal lives. Why do we not acknowledge the phenomenon of black swans until after they occur? Part of the answer, according to Taleb, is that humans are hardwired to learn specifics when they should be focused on generalities. We concentrate on things we already know and time and time again fail to take into consideration what we don't know. We are, therefore, unable to truly estimate opportunities, too vulnerable to the impulse to simplify, narrate, and categorize, and not open enough to rewarding those who can imagine the "impossible." For years, Taleb has studied how we fool ourselves into thinking we know more than we actually do. We restrict our thinking to the irrelevant and inconsequential, while large events continue to surprise us and shape our world. He offers surprisingly simple tricks for dealing with black swans and benefiting from them. "The Black Swan" will change the way you look at the world. Taleb has a polymathic command of subjects ranging from cognitive science to business to probabilitytheory. "The Black Swan" is a landmark book-itself a black swan. The tsunami of cheap credit that rolled across the planet between 2002 and 2008 was more than a simple financial phenomenon: it was temptation, offering entire societies the chance to reveal aspects of their characters they could not normally afford to indulge. Icelanders wanted to stop fishing and become investment bankers. The Greeks wanted to turn their country into a piñata stuffed with cash and allow as many citizens as possible to take a whack at it. The Germans wanted to be even more German; the Irish wanted to stop being Irish. Michael Lewis's investigation of bubbles beyond our shores is so brilliantly, sadly hilarious that it leads the American reader to a comfortable complacency: oh, those foolish foreigners. But when he turns a merciless eye on California and Washington, DC, we see that the narrative is a trap baited with humor, and we understand the reckoning that awaits the greatest and greediest of debtor nations. Sheila Bair is widely acknowledged in government circles and the media as one of the first people to identify and accurately assess the subprime crisis. Appointed by George W. Bush as the chairman of the Federal Deposit Insurance Corporation (FDIC) in 2006, she witnessed the origins of the financial crisis and in 2008 became - along with Hank Paulson, Ben Bernanke, and Timothy Geithner - one of the key players trying to repair the damage to our economy. Bull by the Horns is her remarkable and refreshingly honest account of that contentious time and the struggle for reform that followed and continues to this day. A level-headed, pragmatic figure with a clear focus on serving the public good, Bair was often one of the few women in the room during heated discussions about the economy. Despite her years of experience and her determination to rein in the private banks and Wall Street, she frequently found herself at odds with Geithner. She is withering in her assessment of some of Wall Street's finest, and her narrative of Citibank's attempted takeover of Wachovia is a stinging indictment of how regulators and the banks worked against the public interest at times to serve their own needs. Bair is steadfast in her belief that the American public needs to fully understand the crisis in order to bring it to an end. Critical of the bank bailouts and the Can. $29.99 lax regulation that led to the economic crash, she provides a sober analysis as well as a practical plan for how we should move forward. She helps clear away the myths and half-truths about how we ran our economic engine into the ditch and tells us how we can help get our financial and regulatory systems back on track. In Bust: Greece, the Euro, and the Sovereign Debt Crisis leading market commentator Matthew Lynn blends financial history, politics and current affairs to tell the story of how one nation rode the wave of economic prosperity and brought a continent, a currency, and potentially, the global financial system to its knees. Bust: Greece, the Euro, and the Sovereign Debt Crisis is a story of government deceit, unfettered spending, and cheap borrowing. As well as charting Greece s rise, and spectacular fall from grace, it looks at the global repercussions of a financial disaster that shows many of the hallmarks of the Lehman Brother s debacle. It looks at how the Greek contagion has spread like wildfire through Europe, and, as the global financial community looks on in concern, club Med , or PIGGS countries succumb to its influence. And of course, no financial crisis is complete without Goldman Sachs and murky deals, as the author explores how speculators and derivatives traders compounded the problem. Bust: Greece, the Euro, and the Sovereign Debt Crisis is a lively and engaging account of a country gone wrong, for anyone interested in world events and global economics. In early 2009, many economists, financiers, and media pundits were confidently predicting the end of the American-led capitalism that has shaped history and economics for the past 100 years. Yet the U.S. economic model, far from being discredited, may be strengthened by the financial crisis. In this provocative book, Anatole Kaletsky re-interprets the financial crisis as part of an evolutionary process inherent to the nature of democratic capitalism. Capitalism, he argues, is resilient. Its first form, Capitalism 1.0, was the classical laissez-faire capitalism that lasted from 1776 until 1930. Next was Capitalism 2.0, New Deal Keynesian social capitalism created in the 1930s and extinguished in the 1970s. Its last mutation, Reagan-Thatcher market fundamentalism, culminated in the financially-dominated globalization of the past decade and triggered the recession of 2009-10. The self-destruction of Capitalism 3.0 leaves the field open to the next phase of Capitalism's evolution. Capitalism is likely to transform in the coming decades into something different. The behind-the-scenes story of the nearly disastrous global financial crisis of the late 1990s and how the International Monetary Fund tried - and failed - to stop it. Based on interviews with more than 200 officials at the IMF, the World Bank, the US Treasury, the Federal Reserve, the White House and many foreign governments, "The Chastening" recounts the struggle to stem the financial crisis that flared in Thailand in mid-1997 and spread to three continents. Its disquieting conclusion: at a time when massive flows of money traverse borders and oceans, the IMF is often woefully ill-equipped to safeguard the global economy or to combat virulent new strains of investor panics. The IMF and its overseers have cultivated the image of masterminds coolly dispensing effective economic remedies. But the reality, as Washington Post economics correspondent Paul Blustein shows, is that as markets were sinking and defaults looming, the guardians of global financial stability were often scrambling, floundering, improvising, feuding among themselves and striking messy compromises. In 1997 it seemed that things in the City could only get better. The incoming Labour government gave the Bank of England independence, it introduced a state of the art system of light-touch regulation; and it signalled that it was happy to see finance let rip. Buoyed by a strong pound and cheered on by an excitable media, the bankers became the heroes of the age. The City embarked on a giddy programme of innovation, asset prices boomed and Britain seemed at last to have shaken off its post-war malaise. Politicians took to lecturing their European counterparts on the need to deregulate, to focus on shareholder value and to dispense with an outdated and discredited social market model. And then in the summer of 2007 everything began to collapse. One household name after another - Northern Rock, Bradford & Bingley, HBOS - failed or was forcibly merged. Barely a year later the government took controlling stakes in the banking sector and the reputation of the City was in tatters. In "Chasing Alpha" Philip Augar tells the extraordinary story of how a major economy tried to reinvent itself as a hedge fund crossed with an offshore tax haven. Anyone who worked in finance, and anyone who watched the disaster unfold, will be riveted by this, the first sober history of an intoxicated decade. During the 1970s and 1980s, the use of credit cards, which had begun as a convenience, grew into an addiction. Collateral Damaged: The Marketing of Consumer Debt to America explains how a nation of savers became a nation of consumers and how Wall Street used consumers' addiction to spending to create the "toxic securities" that have wreaked havoc with the global economy. American consumers are in debt over their heads - and it was no accident. It was orchestrated by Wall Street. Collateral Damaged is the first book to connect the dots from consumer spending to credit cards to home equity loans and back to credit cards. One of the biggest questions of the financial crisis has not been answered until now. What happened at Lehman Brothers and why was it allowed to fail, with aftershocks that rocked the global economy? In this news-making, often astonishing book, a former Lehman Brothers Vice President gives us the straight answers-right from the belly of the beast. In A Colossal Failure of Common Sense, Larry McDonald, a Wall Street insider, reveals the culture and unspoken rules of the game like no book has ever done. The book is couched in the very human story of Larry McDonald's Horatio Alger-like rise from a Massachusetts "gateway to nowhere" housing project to the New York headquarters of Lehman Brothers, home of one of the world's toughest trading floors. The Concise Encyclopedia of The Great Recession 2007-2010 provides the necessary resources for understanding the recession begun in 2007. It spells out the recession-related activities and events of the past few years to better inform the reader as he or she plans future moves for themselves and for their families, friends, and colleagues. Acclaimed by The New York Times as "The Leading Business and Technical Lexicographer in the Nation" and the business terminology consultant to the Oxford English Dictionary for the past 25 years, Jerry M. Rosenberg provides the most current, accurate, and sufficiently detailed explanations of the economic see-saw in 2008, 2009, and into 2010. Rosenberg describes in great detail the events, people, rules and regulations, and impact of the meltdown during the near collapse of our banks, financial institutions, and corporations. Rosenberg provides an essential reference to the most critical recession the United States has faced since the Great Depression of the 1930s. Ever since the financial crisis of 2008, doubts have been raised about the future of capitalism. In this broad-ranging survey of financial capitalism from antiquity to the present, Larry Neal reveals the ways in which the financial innovations throughout history have increased trade and prosperity as well as improving standards of living. These innovations have, however, all too often led to financial crises as a result of the failure of effective coordination among banks, capital markets and governments. The book examines this key interrelationship between financial innovation, government regulation and financial crises across three thousand years, showing through past successes and failures the key factors that underpin any successful recovery and sustain economic growth. The result is both an essential introduction to financial capitalism and also a series of workable solutions that will help both to preserve the gains we have already achieved and to mitigate the dangers of future crises. In 2006, Ben S. Bernanke was appointed chair of the Federal Reserve, capping a meteoric trajectory from a rural South Carolina childhood to professorships at Stanford and Princeton, to public service in Washington's halls of power. There would be no time to celebrate, however--the burst of the housing bubble in 2007 set off a domino effect that would bring the global financial system to the brink of meltdown.In The Courage to Act, Ben Bernanke pulls back the curtain on the tireless and ultimately successful efforts to prevent a mass economic failure. Working with two U.S. presidents and two Treasury secretaries, Dr. Bernanke and his colleagues used every Fed capability, no matter how arcane, to keep the U.S. economy afloat. From his arrival in Washington in 2002 and his experiences before the crisis, to the intense days and weeks of the crisis itself, and through the Great Recession that followed, Dr. Bernanke gives readers an unequaled perspective on the American economy. This narrative will reveal for the first time how the creativity and decisiveness of a few key leaders prevented an economic collapse of unimaginable scale. In the midst of one of the most serious financial upheavals since the Great Depression, George Soros, the legendary financier and philanthropist, writes about the origins of the crisis and proposes a set of policies that should be adopted to confront it. Soros, whose breadth of experience in financial markets is unrivaled, places the crisis in the context of his decades of study of how individuals and institutions handle the boom and bust cycles that now dominate global economic activity. In a concise essay that combines practical insight with philosophical depth, Soros makes an invaluable contribution to our understanding of the great credit crisis and its implications for our nation and the world. Based on unparalleled sources at both Merrill Lynch and Bank of America, Greg Farrell’s Crash of the Titans is a Shakespearean saga of three flawed masters of the universe. E. Stanley O’Neal, whose inspiring rise from the segregated South to the corner office of Merrill Lynch—where he engineered a successful turnaround—was undone by his belief that a smooth-talking salesman could handle one of the most difficult jobs on Wall Street. Because he enjoyed O’Neal’s support, this executive was allowed to build up an astonishing $30 billion position in CDOs on the firm’s balance sheet, at a time when all other Wall Street firms were desperately trying to exit the business. After O’Neal comes John Thain, the cerebral, MIT-educated technocrat whose rescue of the New York Stock Exchange earned him the nickname “Super Thain.” He was hired to save Merrill Lynch in late 2007, but his belief that the markets would rebound led him to underestimate the depth of Merrill’s problems. Finally, we meet Bank of America CEO Ken Lewis, a street fighter raised barely above the poverty line in rural Georgia, whose “my way or the highway” management style suffers fools more easily than potential rivals, and who made a $50 billion commitment over a September weekend to buy a business he really didn’t understand, thus jeopardizing his own institution. The merger itself turns out to be a bizarre combination of cultures that blend like oil and water, where slick Wall Street bankers suddenly find themselves reporting to a cast of characters straight out of the Beverly Hillbillies. BofA’s inbred culture, which perceived New York banks its enemies, was based on loyalty and a good-ol’-boy network in which competence played second fiddle to blind obedience. Drawing on the parallels from many countries and centuries, Nouriel Roubini and Stephen Mihm, a professor of economic history and a New York Times Magazine writer, show that financial cataclysms are as old and as ubiquitous as capitalism itself. The last two decades alone have witnessed comparable crises in countries as diverse as Mexico, Thailand, Brazil, Pakistan, and Argentina. All of these crises-not to mention the more sweeping cataclysms such as the Great Depression-have much in common with the current downturn. Bringing lessons of earlier episodes to bear on our present predicament, Roubini and Mihm show how we can recognize and grapple with the inherent instability of the global financial system, understand its pressure points, learn from previous episodes of "irrational exuberance," pinpoint the course of global contagion, and plan for our immediate future. Perhaps most important, the authors-considering theories, statistics, and mathematical models with the skepticism that recent history warrants- explain how the world's economy can get out of the mess we're in, and stay out. Following up on his timely and well-received book, A Failure of Capitalism, Richard Posner steps back to take a longer view of the continuing crisis of democratic capitalism as the American and world economies crawl gradually back from the depths to which they had fallen in the autumn of 2008 and the winter of 2009. By means of a lucid narrative of the crisis and a series of analytical chapters pinpointing critical issues of economic collapse and gradual recovery, Posner helps non-technical readers understand business-cycle and financial economics, and financial and governmental institutions, practices, and transactions, while maintaining a neutrality impossible for persons professionally committed to one theory or another. He calls for fresh thinking about the business cycle that would build on the original ideas of Keynes. Central to these ideas is that of uncertainty as opposed to risk. Risk can be quantified and measured. Uncertainty cannot, and in this lies the inherent instability of a capitalist economy. As we emerge from the financial earthquake, a deficit aftershock rumbles. It is in reference to that potential aftershock, as well as to the government’s stumbling efforts at financial regulatory reform, that Posner raises the question of the adequacy of our democratic institutions to the economic challenges heightened by the greatest economic crisis since the Great Depression. The crisis and the government’s energetic response to it have enormously increased the national debt at the same time that structural defects in the American political system may make it impossible to pay down the debt by any means other than inflation or devaluation. This is a history of financial speculation. From the 17th-century the beginning of the 21st century, Edward Chancellor takes the reader through accounts of the tulipomania of Holland - when tulip bulbs changed hands for the price of houses - through well-known British speculative manias, such as the South Sea Bubble and Railway Mania of Victorian times, and concludes that contemporary speculative mania is remarkably similar. This is a comprehensive book on the subject which should be of interest to investors, economists and anyone who wishes to acquire an understanding of the modern economic system, as well as mainstream historians. They were the Rat Pack of Wall Street. Four close friends: one a decorated war hero, one an emotional hippie, and two regular guys with big hearts, big dreams, and noble aims. They were going to get rich on Wall Street. They were going to prove that men like them with zero financial training - could more than equal the Ivy-League-educated white shoe bankers who were the competition. They were going to create an institution for men like them - men who were hungry and untrained and they were going to win, but not at the cost of their souls. In short, they were going to be the good guys of finance. Under their watch, Lehman Brothers started to grow and became independent again in 1994. But something had gone wrong on the journey. The men slowly, perhaps inevitably, changed. As Lehman Brothers grew, so too did the cracks in and among the men who had rebuilt it. Ward takes you inside Lehman's highly charged offices. Why are we in such a financial mess today? There are lots of proximate causes: over-leverage, global imbalances, bad financial technology that lead to widespread underestimation of risk. But these are all symptoms. Until we isolate and tackle fundamental causes, we will fail to extirpate the disease. ECONned is the first book to examine the unquestioned role of economists as policy-makers, and how they helped create an unmitigated economic disaster. Here, Yves Smith looks at how economists in key policy positions put doctrine before hard evidence, ignoring the deteriorating conditions and rising dangers that eventually led them, and us, off the cliff and into financial meltdown. Intelligently written for the layman, Smith takes us on a terrifying investigation of the financial realm over the last twenty-five years of misrepresentations, naive interpretations of economic conditions, rationalizations of bad outcomes, and rejection of clear signs of growing instability. Something is wrong with our banking system. We all sense that, but Mervyn King knows it firsthand; his ten years at the helm of the Bank of England, including at the height of the financial crisis, revealed profound truths about the mechanisms of our capitalist society. In The End of Alchemy he offers us an essential work about the history and future of money and banking, the keys to modern finance.The Industrial Revolution built the foundation of our modern capitalist age. Yet the flowering of technological innovations during that dynamic period relied on the widespread adoption of two much older ideas: the creation of paper money and the invention of banks that issued credit. We take these systems for granted today, yet at their core both ideas were revolutionary and almost magical. Common paper became as precious as gold, and risky long-term loans were transformed into safe short-term bank deposits. As King argues, this is financial alchemy--the creation of extraordinary financial powers that defy reality and common sense. Faith in these powers has led to huge benefits; the liquidity they create has fueled economic growth for two centuries now. However, they have also produced an unending string of economic disasters, from hyperinflations to banking collapses to the recent global recession and current stagnation.How do we reconcile the potent strengths of these ideas with their inherent weaknesses? King draws on his unique experience to present fresh interpretations of these economic forces and to point the way forward for the global economy. His bold solutions cut through current overstuffed and needlessly complex legislation to provide a clear path to durable prosperity and the end of overreliance on the alchemy of our financial ancestors. The End of Wall Street is a blow-by-blow account of America's biggest financial collapse since the Great Depression. Drawing on 180 interviews, including sit-downs with top government officials and Wall Street CEOs, Lowenstein tells, with grace, wit, and razor-sharp understanding, the full story of the end of Wall Street as we knew it. Displaying the qualities that made When Genius Failed a timeless classic of Wall Street-his sixth sense for narrative drama and his unmatched ability to tell complicated financial stories in ways that resonate with the ordinary reader-Roger Lowenstein weaves a financial, economic, and sociological thriller that indicts America for succumbing to the siren song of easy debt and speculative mortgages. The Great Recession is more than four years old-and counting. Yet, as Paul Krugman points out in this powerful volley, "Nations rich in resources, talent, and knowledge-all the ingredients for prosperity and a decent standard of living for all-remain in a state of intense pain." How bad have things gotten? How did we get stuck in what now can only be called a depression? And above all, how do we free ourselves? Krugman pursues these questions with his characteristic lucidity and insight. He has a powerful message for anyone who has suffered over these past four years-a quick, strong recovery is just one step away, if our leaders can find the "intellectual clarity and political will" to end this depression now. Facing the worst economy since the 1930s, President Barack Obama hired a crack team of escape artists: financial wizards who had pulled off numerous white-knuckle getaways during the Clinton era and who were ready to do it all over again. Three years later, with the economy still in a rut, it’s clear that they fell far short. This is the inside story of what went wrong.The Escape Artists features previously undisclosed internal documents and extensive, original reporting from the highest levels of the administration. Star White House journalist Noam Scheiber reveals the mistakes and missed opportunities that kept the president’s pedigreed team from steering the economy in the right direction. He shows what responsibility the president bears for those missteps, what bold actions his brain trust refused to take despite its preternatural confidence, and how the White House was regularly outmaneuvered by Republicans in Congress.The Escape Artists provides a gripping look inside the meeting rooms, in-boxes, and minds of the men who tried to manage the defining crisis of the Obama presidency: how the very qualities that made these men and women escape artists in the 1990s ultimately failed them. Originally conceived as part of a unifying vision for Europe, the euro is now viewed as a millstone around the neck of a continent crippled by vast debts, sluggish economies, and growing populist dissent. In Europe's Orphan, leading economic commentator Martin Sandbu presents a compelling defense of the euro. He argues that rather than blaming the euro for the political and economic failures in Europe since the global financial crisis, the responsibility lies firmly on the authorities of the eurozone and its member countries. The eurozone's self-inflicted financial calamities and economic decline resulted from a toxic cocktail of unforced policy errors by bankers, politicians, and bureaucrats; the unhealthy coziness between finance and governments; and, above all, an extreme unwillingness to restructure debt. Sandbu traces the origins of monetary union back to the desire for greater European unity after the Second World War. But the euro's creation coincided with a credit bubble that governments chose not to rein in. Once the crisis hit, a battle of both ideas and interests led to the failure to aggressively restructure sovereign and bank debt. Ideologically informed choices set in motion dynamics that encouraged more economic mistakes and heightened political tensions within the eurozone. Sandbu concludes that the prevailing view that monetary union can only work with fiscal and political union is wrong and dangerous--and risks sending the continent into further political paralysis and economic stagnation. Contending that the euro has been wrongfully scapegoated for the eurozone's troubles, Europe's Orphan charts what actually must be done for the continent to achieve an economic and political recovery. Why did the Eurozone end up with an unemployment rate more than twice than that of the United States and six years after the collapse of Lehman Brothers? Was crisis in the Eurozone inevitable? What caused the prolonged economic failure experienced by the majority of the world's low- andmiddle-income countries at the end of the 20th century?Failed analyzes and ties together some of the most important economic developments of recent years with the common theme that they have been widely misunderstood and in some cases almost completely ignored. A central argument of Failed is that there are always viable alternatives to prolongedeconomic failure. Author Mark Weisbrot shows that political agendas are often the root cause of avoidable financial crises and drawing on lessons learned from previous crises, recessions, and subsequent recovers can prevent further failures in the future. Despite reports that the recession may be over, the unemployment rate is more than ten percent and home foreclosures are at a record high. It’s no secret that the U.S. economy is in shambles because of the recent housing bubble. However, according to Dean Baker, Co-Director of the Center for Economic and Policy Research, the people who looked the other way as the eight trillion dollar housing bubble grew unchecked are trying to rewrite history by downplaying the impact of the bubble. In Baker’s new book, False Profits: Recovering from the Bubble Economy, he recounts the strategies used by the country’s top economic policymakers to keep the American public unaware of their failure to recognize the housing bubble and to take steps to rein it in before it grew to unprecedented levels, resulting in the loss of millions of jobs, homes, and the life savings for tens of millions of people. Raghuram Rajan was one of the few economists who warned of the global financial crisis before it hit. Now, as the world struggles to recover, it's tempting to blame what happened on just a few greedy bankers who took irrational risks and left the rest of us to foot the bill. In Fault Lines, Rajan argues that serious flaws in the economy are also to blame, and warns that a potentially more devastating crisis awaits us if they aren't fixed. Rajan shows how the individual choices that collectively brought about the economic meltdown--made by bankers, government officials, and ordinary homeowners--were rational responses to a flawed global financial order in which the incentives to take on risk are incredibly out of step with the dangers those risks pose. He traces the deepening fault lines in a world overly dependent on the indebted American consumer to power global economic growth and stave off global downturns. He exposes a system where America's growing inequality and thin social safety net create tremendous political pressure to encourage easy credit and keep job creation robust, no matter what the consequences to the economy's long-term health; and where the U.S. financial sector, with its skewed incentives, is the critical but unstable link between an overstimulated America and an underconsuming world. In 2012, Ben Bernanke, chairman of the U.S. Federal Reserve, gave a series of lectures about the Federal Reserve and the 2008 financial crisis, as part of a course at George Washington University on the role of the Federal Reserve in the economy. In this unusual event, Bernanke revealed important background and insights into the central bank's crucial actions during the worst financial crisis since the Great Depression. Taken directly from these historic talks,The Federal Reserve and the Financial Crisisoffers insight into the guiding principles behind the Fed's activities and the lessons to be learned from its handling of recent economic challenges. Bernanke traces the origins of the Federal Reserve, from its inception in 1914 through the Second World War, and he looks at the Fed post-1945, when it began operating independently from other governmental departments such as the Treasury. During this time the Fed grappled with episodes of high inflation, finally tamed by then-chairman Paul Volcker. Bernanke also explores the period under his predecessor, Alan Greenspan, known as the Great Moderation. Bernanke then delves into the Fed's reaction to the recent financial crisis, focusing on the central bank's role as the lender of last resort and discussing efforts that injected liquidity into the banking system. Bernanke points out that monetary policies alone cannot revive the economy, and he describes ongoing structural and regulatory problems that need to be addressed. Providing first-hand knowledge of how problems in the financial system were handled,The Federal Reserve and the Financial Crisiswill long be studied by those interested in this critical moment in history. A topical insider view of causes and consequences of financial crises since the Mexican collapse of 1995. The book includes a detailed exploration of recent and ongoing firestorms, including the near meltdown of the global financial system and the euro crisis, and suggests ways to save the international financial and monetary system. We conclude this financial crisis was avoidable. The crisis was the result of human action and inaction, not of Mother Nature or computer models gone haywire. The captains of finance and the public stewards of our financial system ignored warnings and failed to question, understand, and manage evolving risks within a system essential to the well-being of the American public. While the business cycle cannot be repealed, a crisis of this magnitude need not have occurred. To paraphrase Shakespeare, the fault lies not in the stars, but in us. Despite the expressed view of many on Wall Street and in Washington that the crisis could not have been foreseen or avoided, there were warning signs. The tragedy was that they were ignored or discounted. There was an explosion in risky subprime lending and securitization, an unsustainable rise in housing prices, widespread reports of egregious and predatory lending practices, dramatic increases in household mortgage debt, unregulated derivatives, and short-term “repo” lending markets, among many other red flags. Yet there was pervasive permissiveness; little meaningful action was taken to quell the threats in a timely manner. The prime example is the Federal Reserve’s pivotal failure to stem the low of toxic mortgages, which it could have done by setting prudent mortgage-lending standards. The Federal Reserve was the one entity empowered to do so and it did not. The record of our examination is replete with evidence of other failures: Financial institutions made, bought, and sold mortgage securities they never examined, did not care to examine, or knew to be defective; firms depended on tens of billions of dollars of borrowing that had to be renewed each and every night, secured by subprime mortgage securities; and major firms and investors blindly relied on credit rating agencies as their arbiters of risk. What else could one expect on a highway where there were neither speed limits nor neatly painted lines? One would think that economists would by now have already developed a solid grip on how financial bubbles form and how to measure and compare them. This is not the case. Despite the thousands of articles in the professional literature and the millions of times that the word "bubble" has been used in the business press, there still does not appear to be a cohesive theory or persuasive empirical approach with which to study "bubble" and "crash" conditions. This book presents what is meant to be a plausible and accessible descriptive theory and empirical approach to the analysis of such financial market conditions. It advances such a framework through application of standard econometric methods to its central idea, which is that financial bubbles reflect urgent short side rationed demand. From this basic idea, an elasticity of variance concept is developed. The notion that easy credit provides fuel for bubbles is supported. It is further shown that a behavioral risk premium can probably be measured and related to the standard equity risk premium models in a way that is consistent with conventional theory. The subprime crisis and the global financial panic it triggered will impact every one of us profoundly, for years, and perhaps even decades. What happened? And how can we prevent it from happening again? InFinancial Shock, Revised and Expanded Edition,Dr. Mark Zandi answers these questions: thoroughly, carefully, and in plain English. This new edition has been systematically updated for the latest events, with insights into the dynamics of the worldwide Fall 2008 financial collapse, the freezing of credit markets, the extraordinary actions governments have taken in response, and the massive economic fallout. Zandi begins with a fast-paced "history" of the crisis: where it started, how it spread, and the damage it has caused. Next, he illuminates its deepest causes, ranging from the psychology of homeownership to Alan Greenspan's missteps, Internet technology to state-of-the-art financial engineering. After surveying the wreckage, Zandi previews the radically different financial system that is likely to emerge next, and offers more detailed and specific recommendations for policymakers and regulators. Along the way, readers will gain indispensable insights for protecting their own futures, managing their own investments, and navigating their organizations to safety. The dire economic situation we find ourselves in is not a result of economic forces alone, but of the policies pursued, and not pursued, by world leaders. In this collection of his recent writings on the global financial situation, George Soros presents his views and analysis of key economic policy choices leading up to, during, and following the financial crisis of 2008-2009. Soros explores domestic and international policy choices like how to manage the (then) potential implosion of Fannie Mae & Freddie Mac, deploying measures to stem global contagion from the sub-prime crisis, alternative options on bailing out lesser developed countries and why this was vital, the structural problems of European economic management, and more.Financial Turmoil in Europe and the United States elegantly distills the choices at hand, and takes the reader on a journey of real time economic policy work and experimentation. For nearly three centuries the spectacular rise and fall of the South Sea Company has gripped the public imagination as the most graphic warning to investors of the dangers of unbridled speculation. Yet history repeats itself and the same elemental forces that drove up the price of South Sea shares to dizzying heights in 1720 have in recent years produced the global crash of 1987, the Japanese stock market bubble of the 1980s/90s, and the international dot.com boom of the 1990s. The First Crash throws light on the current debate about investor rationality by re-examining the story of the South Sea Bubble from the standpoint of investors and commentators during and preceding the fateful Bubble year. In absorbing prose, Richard Dale describes the trading techniques of London's Exchange Alley (which included 'modern' transactions such as derivatives) and uses new data, as well as the hitherto neglected writings of a brilliant contemporary financial analyst, to show how investors lost their bearings during the Bubble period in much the same way as during the dot.com boom. The events of 1720, as presented here, offer insights into the nature of financial markets that, being independent of place and time, deserve to be considered by today's investors everywhere. This book is therefore aimed at all those with an interest in the behavior of stock markets. The latest book from Financial Times columnist Martin Wolf explains why global imbalances cause financial crises—including the one ravaging the United States right now—and outlines the steps for ending this destructive cycle. Reviewing global financial crises since 1980, Wolf lays bare the links between the microeconomics of finance and the macroeconomics of the balance of payments, demonstrating how the subprime lending crisis in the United States fits into a pattern that includes the economic shocks of 1997, 1998, and early 1999 in Latin America, Russia, and Asia. He explains why the United States is now the “borrower and spender of last resort,” makes the case that this is an untenable arrangement, and argues that global economic security depends on the ability of emerging economies to develop robust financial systems based on domestic currencies. Sharply and clearly argued, Wolf’s prescription for fixing global finance illustrates why he has been described as "the world's preeminent financial journalist." In the mid 1990s, at a vast hotel complex on a private Florida beach, dozens of bankers from JP Morgan gathered for what was to become a legendary off-site meeting. It was a wild weekend. But among the drinking, nightclubbing and fist-fights lay a more serious purpose - to assess the possibility of building a business around the new-fangled concepts of credit derivatives. The group at the heart of this revolution was an intense team, made up of individuals with a supreme sense of loyalty to each other and to the bank - for years, nothing could break them apart. But when, finally, the team dispersed, the innovations spread far beyond their original intentions, producing perversions in the mortgage market that ultimately culminated in disaster. Part real-life thriller, part investigation and expose, this searing narrative takes us deep inside the shadowy world of complex finance - a perfect storm for the credit crunch. Over the last two years, the United States has observed, with some horror, the explosion and collapse of entire segments of the housing market, especially those driven by subprime and alternative or “exotic” home mortgage lending. The unfortunately timely Foreclosed explains the rise of high-risk lending and why these newer types of loans—and their associated regulatory infrastructure—failed in substantial ways. Dan Immergluck narrates the boom in subprime and exotic loans, recounting how financial innovations and deregulation facilitated excessive risk-taking, and how these loans have harmed different populations and communities. Immergluck has an intimate knowledge of the promotion of home ownership and the history of mortgages in the United States. The changes to the mortgage market over the past fifteen years—including the securitization of mortgages and the failure of regulators to maintain control over a much riskier array of mortgage products—led, he finds, inexorably to the current crisis. After describing the development of generally stable and risk-limiting mortgage markets throughout much of the twentieth century, Foreclosed details how federal policy-makers failed to regulate the new high-risk lending markets that arose in the late 1990s and early 2000s. The book also examines federal, state, and local efforts to deal with the mortgage and foreclosure crisis of 2007 and 2008. Immergluck provides an overarching set of principles and a detailed set of policy recommendations for “righting the ship” of U.S. housing finance in ways that will promote affordable yet sustainable home ownership as an option for a broad set of households and communities. Why are banking systems unstable in so many countries--but not in others? The United States has had twelve systemic banking crises since 1840, while Canada has had none. The banking systems of Mexico and Brazil have not only been crisis prone but have provided miniscule amounts of credit to business enterprises and households. Analyzing the political and banking history of the United Kingdom, the United States, Canada, Mexico, and Brazil through several centuries, Fragile by Design demonstrates that chronic banking crises and scarce credit are not accidents due to unforeseen circumstances. Rather, these fluctuations result from the complex bargains made between politicians, bankers, bank shareholders, depositors, debtors, and taxpayers. The well-being of banking systems depends on the abilities of political institutions to balance and limit how coalitions of these various groups influence government regulations. Fragile by Design is a revealing exploration of the ways that politics inevitably intrudes into bank regulation. Charles Calomiris and Stephen Haber combine political history and economics to examine how coalitions of politicians, bankers, and other interest groups form, why some endure while others are undermined, and how they generate policies that determine who gets to be a banker, who has access to credit, and who pays for bank bailouts and rescues. ISBN: 9780817949716.HooverInstitutionPress, 92 p., 2009. Canterbery's latest literary work provides a definitive account of the Great Recession of 20072010. It presents an output-employment framework for evaluating the Great Recession. A chapter on the Great Depression provides a basis for comparison while outlining the institutions still intact that moderated that downturn. Finally, the aftermath of the recession is accounted for. We have just experienced the worst financial crash the world has seen since the Great Depression of the 1930s. While real economies in general did not crash as they did in the 1930s, the financial parts of the economy certainly did, or, at least, came very close to doing so. Hundreds of banks in the United States and Europe have been closed by their supervisory authorities, forcibly merged with stronger partners, nationalized or recapitalized with the tax payers' money. Banks and insurance companies had, by mid 2010, already written off some 2000 billion dollars in credit write-downs on loans and securities. In this book, Johan Lybeck draws on his experience as both an academic economist and a professional banker to present a detailed yet non-technical analysis of the crash. He describes how the crisis began in early 2007, explains why it happened and shows how it compares to earlier financial crises. ISBN: Houghton Mifflin, 1955. 212 p.
This work examines the 'gold-rush fantasy' in American psychology and describes its dire consequences. The Florida land boom, the operations of Insull, Kreuger and Hatry, and the Shandoah Corporation all come together in Galbraith's study of concerted human greed and folly. Reviewing Galbraith's classic examination of the 1929 financial collapse, The Atlantic Monthly said, "Economic writings are seldom notable for their entertainment value, but this book is. Galbraith's prose has grace and wit, and he distills a good deal of sardonic fun from the whopping errors of the nation's oracles and the wondrous antics of the financial community." Back in 2006, hunched over spreadsheets, hedge fund titan John Paulson realised that the housing market was vastly overstretched. Fuelled by sub-prime mortgages, it was a classic bubble ready to burst. He had waited his whole life for this perfect trade. Paulson, who had never dealt in real-estate before, struggled to convince bullish Wall Street investors about the coming crash. But as house prices began to falter and the financial system collapsed, he reaped the rewards. He made a now-legendary series of trades, executed with technical skill and perfect timing. The results were spectacular. In a single morning in late 2007 Paulson made $1.25bn from a five-point fall in the markets. Across the year he earned $15 billion for his fund, including $4 billion for himself - more than the incomes of J.K Rowling, Oprah Winfrey and Tiger Woods put together. It was the largest trading windfall in history by far, securing his place in the history books alongside Warren Buffet and George Soros. Written with the exclusive co-operation of the highly secretive Paulson, "The Greatest Trade Ever" tells the full story of his trade for the first time. Like Barbarians at the Gate 20 years ago, it also tells a wider story of staggering wealth accumulation, hubris and financial whizzery. It is essential reading for anyone seeking to understand the inner workings of the markets - and trying to spot the next bubble. Just as today’s observers struggle to justify the workings of the free market in the wake of a global economic crisis, an earlier generation of economists revisited their worldviews following the Great Depression. The Great Persuasion is an intellectual history of that project. Angus Burgin traces the evolution of postwar economic thought in order to reconsider many of the most basic assumptions of our market-centered world. Conservatives often point to Friedrich Hayek as the most influential defender of the free market. By examining the work of such organizations as the Mont Pelerin Society, an international association founded by Hayek in 1947 and later led by Milton Friedman, Burgin reveals that Hayek and his colleagues were deeply conflicted about many of the enduring problems of capitalism. Far from adopting an uncompromising stance against the interventionist state, they developed a social philosophy that admitted significant constraints on the market. Postwar conservative thought was more dynamic and cosmopolitan than has previously been understood. It was only in the 1960s and ’70s that Friedman and his contemporaries developed a more strident defense of the unfettered market. Their arguments provided a rhetorical foundation for the resurgent conservatism of Barry Goldwater and Ronald Reagan and inspired much of the political and economic agenda of the United States in the ensuing decades. Burgin’s brilliant inquiry uncovers both the origins of the contemporary enthusiasm for the free market and the moral quandaries it has left behind. The two great financial crises of the past century are the Great Depression of the 1930s and the Great Recession, which began in 2008. Both occurred against the backdrop of sharp credit booms, dubious banking practices, and a fragile and unstable global financial system. When markets went into cardiac arrest in 2008, policymakers invoked the lessons of the Great Depression in attempting to avert the worst. While their response prevented a financial collapse and catastrophic depression like that of the 1930s, unemployment in the U.S. and Europe still rose to excruciating high levels. Pain and suffering were widespread. The question, given this, is why didn't policymakers do better? Hall of Mirrors, Barry Eichengreen's monumental twinned history of the two crises, provides the farthest-reaching answer to this question to date. Alternating back and forth between the two crises and between North America and Europe, Eichengreen shows how fear of another Depression following the collapse of Lehman Brothers shaped policy responses on both continents, with both positive and negative results. Since bank failures were a prominent feature of the Great Depression, policymakers moved quickly to strengthen troubled banks. But because derivatives markets were not important in the 1930s, they missed problems in the so-called shadow banking system. Having done too little to support spending in the 1930s, governments also ramped up public spending this time around. But the response was indiscriminate and quickly came back to haunt overly indebted governments, particularly in Southern Europe. Moreover, because politicians overpromised, and because their measures failed to stave off a major recession, a backlash quickly developed against activist governments and central banks. Policymakers then prematurely succumbed to the temptation to return to normal policies before normal conditions had returned. The result has been a grindingly slow recovery in the United States and endless recession in Europe. Hall of Mirrors is both a major work of economic history and an essential exploration of how we avoided making only some of the same mistakes twice. It shows not just how the "lessons" of Great Depression history continue to shape society's response to contemporary economic problems, but also how the experience of the Great Recession will permanently change how we think about the Great Depression. A successful Wall Street trader turned Cambridge neuroscientist reveals the biology of boom and bust and how risk taking transforms our body chemistry, driving us to extremes of euphoria and risky behavior or stress and depression The laws of financial boom and bust, it turns out, have more than a little to do with male hormones. In a series of groundbreaking experiments, Dr. John Coates identified a feedback loop between testosterone and success that dramatically lowers the fear of risk in men, especially younger men—significantly, the fear of risk is not reduced in women. Similarly, intense failure leads to a rise in levels of cortisol, the antitestosterone hormone that lowers the appetite for risk across an entire spectrum of decisions. Before he became a world-class neuroscientist, Coates ran a derivatives desk in New York. As a successful trader on Wall Street, "the hour between dog and wolf" was the moment traders transformed-they would become revved up, exuberant risk takers, when flying high, or tentative, risk-averse creatures, when cowering from their losses. Coates understood instinctively that these dispositions were driven by body chemistry—and then he proved it. The Hour Between Dog and Wolfexpands on Coates's own research to offer lessons from the entire exploding new field—the biology of risk.Though Coates's research concentrates on traders, his conclusions shed light on all types of high-pressure decision making-from the sports field to the battlefield.The Hour Between Dog and Wolfleaves us with a powerful recognition: To handle risk in a "highly evolved" way isn't a matter of mind over body; it's a matter of mind and body working together. We all have it in us to be transformed from dog into wolf; the only question is whether we can understand the causes and the consequences. On March 5, 2008, at 10:15 A.M., a hedge fund manager in Florida wrote a post on his investing advice Web site that included a startling statement about Bear Stearns & Co., the nation’s fifth-largest investment bank: “In my book, they are insolvent.” This seemed a bold and risky statement. Bear Stearns was about to announce profits of $115 million for the first quarter of 2008, had $17.3 billion in cash on hand, and, as the company incessantly boasted, had been a colossally profitable enterprise in the eighty-five years since its founding. Ten days later, Bear Stearns no longer existed, and the calamitous financial meltdown of 2008 had begun. How this happened – and why – is the subject of William D. Cohan’s superb and shocking narrative that chronicles the fall of Bear Stearns and the end of the Second Gilded Age on Wall Street. Bear Stearns serves as the Rosetta Stone to explain how a combination of risky bets, corporate political infighting, lax government regulations and truly bad decision-making wrought havoc on the world financial system. Cohan’s minute-by-minute account of those ten days in March makes for breathless reading, as the bankers at Bear Stearns struggled to contain the cascading series of events that would doom the firm, and as Treasury Secretary Henry Paulson, New York Federal Reserve Bank President Tim Geithner, and Fed Chairman Ben Bernanke began to realize the dire consequences for the world economy should the company go bankrupt. The Great American Recession resulted in the loss of eight million jobs between 2007 and 2009. More than four million homes were lost to foreclosures. Is it a coincidence that the United States witnessed a dramatic rise in household debt in the years before the recession;that the total amount of debt for American households doubled between 2000 and 2007 to $14 trillion? Definitely not. Atif Mian and Amir Sufi reveal how the Great Recession and Great Depression, as well as the current economic malaise in Europe, were caused by a large run-up in household debt followed by a significantly large drop in household spending. Though the banking crisis captured the public’s attention, Mian and Sufi argue strongly with actual data that current policy is too heavily biased toward protecting banks and creditors. Increasing the flow of credit, they show, is disastrously counterproductive when the fundamental problem is too much debt. As their research shows, excessive household debt leads to foreclosures, causing individuals to spend less and save more. Less spending means less demand for goods, followed by declines in production and huge job losses. How do we end such a cycle? With a direct attack on debt, say Mian and Sufi. More aggressive debt forgiveness after the crash helps, but we can be rid of painful bubble-and-bust episodes only if the financial system moves away from its reliance on inflexible debt contracts. House of Debt offers convincing answers to some of the most important questions facing the modern economy today. In How Markets Fail, John Cassidy describes the rising influence of what he calls Utopian economics - thinking that is blind to how real people act and that denies the many ways an unregulated free market can produce disastrous unintended consequences. He then looks to the leading edge of economic theory, including behavioral economics, to offer a new understanding of the economy - one that casts aside the old assumption that people and firms make decisions purely on the basis of rational self-interest. Cassidy explores a world in which everybody is connected and social contagion is the norm. In such an environment, he shows, individual behavioral biases and kinks - overconfidence, envy, copycat behavior, and myopia - often give rise to troubling macroeconomic phenomena, such as oil price spikes, CEO greed cycles, and boom-and-bust waves in the housing market. These are the inevitable outcomes of what Cassidy refers to as "rational irrationality" - self-serving behavior in a modern market setting. In How the Economy Works, one of our leading economists provides a jargon-free exploration of the current crisis, offering a powerful argument for how economics must change to get us out of it. Roger E. A. Farmer traces the swings between classical and Keynesian economics since the early twentieth century, gracefully explaining the elements of both theories. During the Great Depression, Keynes challenged the longstanding idea that an economy was a self-correcting mechanism; but his school gave way to a resurgence of classical economics in the 1970s--a rise that ended with the current crisis. Rather than simply allowing the pendulum to swing back, Farmer writes, we must synthesize the two. The failure of economists to anticipate the global financial crisis and mitigate the impact of the ensuing recession has spurred a public outcry. Economists are under fire, but questions concerning exactly how to redeem the discipline remain unanswered. In this provocative book, renowned economist Meghnad Desai investigates the evolution of economics and maps its trajectory against the occurrence of major political events to provide a definitive answer. Desai underscores the contribution of hubris to economists' calamitous lack of foresight, and he makes a persuasive case for the profession to re-engage with the history of economic thought. He dismisses the notion that one over-arching paradigm can resolve all economic eventualities while urging that an array of already-available theories and approaches be considered anew for the insights they may provide toward preventing future economic catastrophes. With an accessible style and keen common sense, Desai offers a fresh perspective on some of the most important economic issues of our time. Explaining both what happened and why it happened during the great panic of 2008, David Wessel provides new insight into how the Fed really works—and the fears Bernanke and other key players dealt with as the economic car was about to go off the cliff. "What if we get it wrong, as we did in the Depression? Then what?" Wessel shows the lightbulbs illuminating as they realized how much worse things were as each day passed. In FED We Trust is a breathtaking and singularly perceptive look at a historic episode in American and global economic history. David Wessel is economics editor of The Wall Street Journal, deputy bureau chief of the paper’s Washington bureau, and a regular on NPR and Washington Week in Review. When it comes to matters of money, most Americans tend to view themselves as reasonably prudent people, reflecting the puritan roots of their European ancestors. Yet, at the same time, Americans also seem to feel entitled to a lifestyle, individually and nationally, that is well above the rest of the world's, and well beyond our current means. Inflated: How Money and Debt Built the American Dream explores more than two hundred years of American politics and monetary policy to examine this conflict. In doing so, it asks whether the current understanding of the American Dream, one of entitlement, is so ingrained that to expect Americans willingly to live in a "deflated" world is unrealistic. This book simply and directly tells the story of inflation and public debt as enduring, and perhaps even endearing, features of American life. Publication Date: Princeton, 2015. 3rd ed. The Leaderless Economyreveals why international financial cooperation is the only solution to today's global economic crisis. In this timely and important book, Peter Temin and David Vines argue that our current predicament is a catastrophe rivaled only by the Great Depression. Taking an in-depth look at the history of both, they explain what went wrong and why, and demonstrate why international leadership is needed to restore prosperity and prevent future crises. Temin and Vines argue that the financial collapse of the 1930s was an "end-of-regime crisis" in which the economic leader of the nineteenth century, Great Britain, found itself unable to stem international panic as countries abandoned the gold standard. They trace how John Maynard Keynes struggled for years to identify the causes of the Great Depression, and draw valuable lessons from his intellectual journey. Today we are in the midst of a similar crisis, one in which the regime that led the world economy in the twentieth century--that of the United States--is ending. Temin and Vines show how America emerged from World War II as an economic and military powerhouse, but how deregulation and a lax attitude toward international monetary flows left the nation incapable of reining in an overleveraged financial sector and powerless to contain the 2008 financial panic. Fixed exchange rates in Europe and Asia have exacerbated the problem. The Leaderless Economyprovides a blueprint for how renewed international leadership can bring today's industrial nations back into financial balance--domestically and between each other. ISBN: 0883556774. Hyperion Press, 1979. Originally Published in 1873. 176 p.
Much of what we consider modern economics is the work of British journalist and economist Walter Bagehot, one of the first editors of the influential newspaper The Economist and an early proponent of business cycles. Here, he develops his theory of central banking, much of which continues to impact financial thinking today. 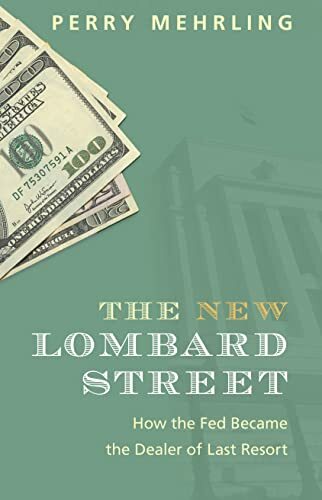 First published in 1873, Lombard Street explores the history of London's Lombard Street, from how it came to be the traditional home of banks and moneylenders to how the value of money was determined by the institutions there. Joint stocks, private banking, and the regulation of the banking reserve: Bagehot's discussion of these fundamental economic issues makes this a vital resource for anyone wishing to understand financial history. WALTER BAGEHOT (1826-1877) also wrote The English Constitution (1867), Physics and Politics (1872), and The Postulates of English Political Economy (1885), among other works. Many of us take it as a given that the Great Depression - the consequences of which reverberated for decades, crippling the future of an entire generation and setting the stage for WWII - resulted from a confluence of inexorable forces beyond any one person or government's control. In fact, as erudite economist Liaquat Ahamed explains, it was the decisions taken by a small number of central bankers that were the primary cause of the economic meltdown. "In Lords of Finance", we meet the neurotic and enigmatic Montagu Norman of the Bank of England; the xenophobic and suspicious Emile Moreau of the Banque de France; the arrogant yet brilliant Hjalmar Schacht of the Reichsbank; and the dynamic Benjamin Strong of the New York Federal Reserve Bank. These four men were as prominent in their time as Alan Greenspan, Hank Paulson and Mervyn King are today, but their names were lost to history, their story untold, until now.Harnessing a keen sense of history and the narrative skills of the novelist, Liaquat Ahamed tells their story in vivid and gripping detail. As yet another period of economic turmoil makes headlines today, the Great Depression and the year 1929 remain the benchmark for true financial mayhem. Offering a new understanding of the origins and global nature of financial crises, "Lords of Finance" a timely and arresting reminder that individuals - their ambitions, limitations and human nature - lie at the very heart of global catastrophe. During the most dizzying days of the financial crisis, Washington Mutual, a bank with hundreds of billions of dollars in its coffers, suffered a crippling bank run. The story of its final, brutal collapse in the autumn of 2008, and its controversial sale to JPMorgan Chase, is an astonishing account of how one bank lost itself to greed and mismanagement, and how the entire financial industry—and even the entire country— lost its way as well. Kirsten Grind’sThe Lost Bankis a magisterial and gripping account of these events, tracing the cultural shifts, the cockamamie financial engineering, and the hubris and avarice that made this incredible story possible. The men and women who become the central players in this tragedy— the regulators and the bankers, the home buyers and the lenders, the number crunchers and the shareholders—are heroes and villains, perpetrators and victims, often switching roles with one another as the drama unfolds. As a reporter at the time for thePuget Sound Business Journal,Grind covered a story set far from the epicenters of finance and media. It happened largely in places such as the suburban homes of central California and the office buildings of Seattle, but Grind covered the story from the beginning, and the clarity and persistence of her reporting earned her many awards, including being named a finalist for the Pulitzer Prize and the Gerald Loeb Award. Written as compellingly as the finest fiction,The Lost Bank makes it clear that the collapse of Washington Mutual was not just the largest bank failure in American history. It is a story of talismanic qualities, reflecting the incredible rise and the precipitous collapse of not only an institution but of trust, fortunes, and the marketplaces for risk across the world. Welcome to Argentina: by 2008 the United States had become the biggest international borrower in world history, with almost half of its 6.4 trillion dollar federal debt in foreign hands. The proportion of foreign loans to the size of the economy put the United States in league with Mexico, Pakistan, and other third-world debtor nations. The massive inflow of foreign funds financed the booms in housing prices and consumer spending that fueled the economy until the collapse of late 2008. The authors explore the political and economic roots of this crisis as well as its long-term effects. They explain the political strategies behind the Bush administration's policy of funding massive deficits with the foreign borrowing that fed the crisis. They see the continuing impact of our huge debt in a slow recovery ahead. Their clear, insightful, and comprehensive account will long be regarded as the standard on the crisis. Eight years on from the biggest market meltdown since the Great Depression, the key lessons of the crisis of 2008 still remain unlearned--and our financial system is just as vulnerable as ever. Many of us know that our government failed to fix the banking system after the subprime mortgage crisis. But what few of us realize is how the misguided financial practices and philosophies that nearly toppled the global financial system have come to infiltrate ALL American businesses, putting us on a collision course for another cataclysmic meltdown. Drawing on in-depth reporting and exclusive interviews at the highest rungs of Wall Street and Washington, Time assistant managing editor and economic columnist Rana Foroohar shows how the "financialization of America" - the trend by which finance and its way of thinking have come to reign supreme - is perpetuating Wall Street's reign over Main Street, widening the gap between rich and poor, and threatening the future of the American Dream. Policy makers get caught up in the details of regulating "Too Big To Fail" banks, but the problems in our market system go much broader and deeper than that. Consider that: · Thanks to 40 years of policy changes and bad decisions, only about 15 % of all the money in our market system actually ends up in the real economy - the rest stays within the closed loop of finance itself. · The financial sector takes a quarter of all corporate profits in this country while creating only 4 % of American jobs. · The tax code continues to favor debt over equity, making it easier for companies to hoard cash overseas rather than reinvest it on our shores. · Our biggest and most profitable corporations are investing more money in stock buybacks than in research and innovation. · And, still, the majority of the financial regulations promised after the 2008 meltdown have yet come to pass, thanks to cozy relationship between our lawmakers and the country's wealthiest financiers. Exploring these forces, which have have led American businesses to favor balancing-sheet engineering over the actual kind and the pursuit of short-term corporate profits over job creation, Foroohar shows how financialization has so gravely harmed our society, and why reversing this trend is of grave importance to us all. Through colorful stories of both "Takers" and "Makers," she'll reveal how we change the system for a better and more sustainable shared economic future. This is the definitive, extraordinary account of how the collapse of the Royal Bank of Scotland tipped Britain into its deepest economic downturn in decades. The collapse of the Royal Bank of Scotland (RBS), which had to be bailed out by the taxpayer in the financial crisis of October 2008, played a leading role in tipping Britain into its deepest economic downturn in seven decades. The economy shrank, bank lending froze, hundreds of thousands lost their jobs, living standards are still falling, and Britons will be paying higher taxes for decades to pay the clean-up bill. How on earth had a small Scottish bank grown so quickly to become a global financial giant that could do such immense damage when it collapsed? At the center of the story was Fred Goodwin, the former chief executive known as "Fred the Shred" who terrorized some of his staff and beguiled others. Not a banker by training, he nonetheless was given control of RBS and set about trying to make it one of the biggest brands in the world. It was said confidently that computerization and new banking products had made the world safer—only they hadn't. In this account, senior executives, board members, Treasury insiders, and regulators reveal how the bank's mania for expansion led it to take enormous risks its leaders didn't understand. From the birth of the Royal Bank in 18th century Scotland, to the manic expansion under Fred Goodwin in the middle of a mad boom, and culminating in the epoch-defining collapse, here is the full, extraordinary story. The definitive biography of the most important economic statesman of our time Sebastian Mallaby's magisterial biography of Alan Greenspan, the product of over five years of research based on untrammeled access to his subject and his closest professional and personal intimates, brings into vivid focus the mysterious point where the government and the economy meet. To understand Greenspan's story is to see the economic and political landscape of the last 30 years--and the presidency from Reagan to George W. Bush--in a whole new light. As the most influential economic statesman of his age, Greenspan spent a lifetime grappling with a momentous shift: the transformation of finance from the fixed and regulated system of the post-war era to the free-for-all of the past quarter century. The story of Greenspan is also the story of the making of modern finance, for good and for ill. Greenspan's life is a quintessential American success story: raised by a single mother in the Jewish émigré community of Washington Heights, he was a math prodigy who found a niche as a stats-crunching consultant. A master at explaining the economic weather to captains of industry, he translated that skill into advising Richard Nixon in his 1968 campaign. This led to a perch on the White House Council of Economic Advisers, and then to a dazzling array of business and government roles, from which the path to the Fed was relatively clear. A fire-breathing libertarian and disciple of Ayn Rand in his youth who once called the Fed's creation a historic mistake, Mallaby shows how Greenspan reinvented himself as a pragmatist once in power. In his analysis, and in his core mission of keeping inflation in check, he was a maestro indeed, and hailed as such. At his retirement in 2006, he was lauded as the age's necessary man, the veritable God in the machine, the global economy's avatar. His memoirs sold for record sums to publishers around the world. But then came 2008. Mallaby's story lands with both feet on the great crash which did so much to damage Alan Greenspan's reputation. Mallaby argues that the conventional wisdom is off base: Greenspan wasn't a naïve ideologue who believed greater regulation was unnecessary. He had pressed for greater regulation of some key areas of finance over the years, and had gotten nowhere. To argue that he didn't know the risks in irrational markets is to miss the point. He knew more than almost anyo≠ the question is why he didn't act, and whether anyone else could or would have. A close reading of Greenspan's life provides fascinating answers to these questions, answers whose lessons we would do well to heed. Because perhaps Mallaby's greatest lesson is that economic statesmanship, like political statesmanship, is the art of the possible. The Man Who Knew is a searching reckoning with what exactly comprised the art, and the possible, in the career of Alan Greenspan. The first edition of Charles Kindleberger's brilliant, panoramic history, published in 1978, summarized the pattern of market developments and the five stages in the evolution of a financial crisis. Robert Z. Aliber probes the sequence of four waves of crises that have involved more than forty countries since the early 1980s and shows that implosions of their banking systems do not follow from the decisions of 'bad actors' but instead are symptomatic of a dysfunctional international monetary arrangement. With an updated Foreword from Robert M. Solow and a new Afterword from Lord Robert Skidelsky, this seventh edition exemplifies the continued importance of Kindleberger's work and Aliber's ongoing examination of financial crises around the world. Like all of us, though few so visibly, Alan Greenspan was forced by the financial crisis of 2008 to question some fundamental assumptions about risk management and economic forecasting. No one with any meaningful role in economic decision making in the world saw beforehand the storm for what it was. How had our models so utterly failed us? To answer this question, Alan Greenspan embarked on a rigorous and far-reaching multiyear examination of how Homo economicus predicts the economic future, and how it can predict it better. Economic risk is a fact of life in every realm, from home to business to government at all levels. Whether we’re conscious of it or not, we make wagers on the future virtually every day. Very often, however, we’re steering by out-of-date maps, when we’re not driven by factors entirely beyond our conscious control. The Map and the Territory is nothing less than an effort to update our forecasting conceptual grid. It integrates the history of economic prediction, the new work of behavioral economists, and the fruits of the author’s own remarkable career to offer a thrillingly lucid and empirically based grounding in what we can know about economic forecasting and what we can’t.The book probes what we can predict about the world's biggest looming challenges. No map is the territory, but Greenspan’s approach, grounded in his trademark rigor, wisdom, and unprecedented context, ensures that this particular map will assist in safe journeys down many different roads, traveled by individuals, businesses, and the state. It is now widely agreed that mainstream macroeconomics is irrelevant and that there is need for a more useful and realistic economic analysis that can provide a better understanding of the ongoing global financial and economic crisis. Lance Taylor’s book exposes the unrealistic assumptions of the rational expectations and real business cycle approaches and of mainstream finance theory. It argues that in separating monetary and financial behavior from real behavior, they do not address the ways that consumption, accumulation, and the government play in the workings of the economy. Taylor argues that the ideas of J. M. Keynes and others provide a more useful framework both for understanding the crisis and for dealing with it effectively. Keynes’s basic points were fundamental uncertainty and the absence of Say’s Law. He set up machinery to analyze the macro economy under such circumstances, including the principle of effective demand, liquidity preference, different rules for determining commodity and asset prices, distinct behavioral patterns of different collective actors, and the importance of thinking in terms of complete macro accounting schemes. Economists working in this tradition also worked out growth and cycle models. Employing these ideas throughout Maynard’s Revenge, Taylor provides an analytical narrative about the causes of the crisis, and suggestions for dealing with it. Collaborating with the business editor of Iceland's leading daily newspaper, award-winning writer Roger Boyes tells the inside story of the bankrupting of Iceland and explains how it has ramifications for us all, from the private and public investors who trusted their money in Iceland's banks, to the workers in high street clothes stores whose owners no longer can pay for the shirts on their own backs. Writing with panache and colour, and drawing on interviews with everyone from artists and policitians to the local fisherman, Meltdown Iceland is an authoritative and compelling account of the financial destruction of this tiny, icy but vibrant country. Economic historians have made great progress in unraveling the causes of the Great Depression, but not until Scott Sumner came along has anyone explained the multitude of twists and turns the economy took. In The Midas Paradox: Financial Markets, Government Policy Shocks, and the Great Depression, Sumner offers his magnum opus--the first book to comprehensively explain both monetary and non-monetary causes of that cataclysm. Drawing on financial market data and contemporaneous news stories, Sumner shows that the Great Depression is ultimately a story of incredibly bad policymaking--by central bankers, legislators, and two presidents--especially mistakes related to monetary policy and wage rates. He also shows that macroeconomic thought has long been captive to a false narrative that continues to misguide policymakers in their quixotic quest to promote robust and sustainable economic growth. The Midas Paradox is a landmark treatise that solves mysteries that have long perplexed economic historians, and corrects misconceptions about the true causes, consequences, and cures of macroeconomic instability. Like Milton Friedman and Anna J. Schwartz's A Monetary History of the United States, 1867-1960, it is one of those rare books destined to shape all future research on the subject. Before 2007, economists thought that financial crises would never happen again in the United States, that such upheavals were a thing of the past. Gary B. Gorton, a prominent expert on financial crises, argues that economists fundamentally misunderstand what they are, why they occur, and why there were none in the U.S. from 1934 to 2007. Misunderstanding Financial Crisesoffers a back-to-basics overview of financial crises, and shows that they are not rare, idiosyncratic events caused by a perfect storm of unconnected factors. Instead, Gorton shows how financial crises are, indeed, inherent to our financial system. Economists, Gorton writes, looked from a certain point of view and missed everything that was important: the evolution of capital markets and the banking system, the existence of new financial instruments, and the size of certain money markets like the sale and repurchase market. Comparing the so-called "Quiet Period" of 1934 to 2007, when there were no systemic crises, to the "Panic of 2007-2008," Gorton ties together key issues like bank debt and liquidity, credit booms and manias, moral hazard, and too-big-too-fail--all to illustrate the true causes of financial collapse. He argues that the successful regulation that prevented crises since 1934 did not adequately keep pace with innovation in the financial sector, due in part to the misunderstandings of economists, who assured regulators that all was well. Gorton also looks forward to offer both a better way for economists to think about markets and a description of the regulation necessary to address the future threat of financial disaster. In this stunning narrative, award-winning reporter Michael W. Hudson reveals the story of the rise and fall of the subprime mortgage business by chronicling the rise and fall of two corporate empires: Ameriquest and Lehman Brothers. As the biggest subprime lender and Wall Street's biggest patron of subprime, Ameriquest and Lehman did more than any other institutions to create the feeding frenzy that emboldened mortgage pros to flood the nation with high-risk, high-profit home loans. It's a tale populated by a remarkable cast of the characters: a shadowy billionaire who created the subprime industry out of the ashes of the 1980s S&L scandal; Wall Street executives with an insatiable desire for product; struggling home owners ensnared in the most ingenious of traps; lawyers and investigators who tried to expose the fraud; politicians and bureaucrats who turned a blind eye; and, most of all, the drug-snorting, high-living salesman who tell all about the money they made, the lies they told, the deals they closed. Provocative and gripping, "The Monster" is a searing expose of the bottom-feeding fraud and top-down greed that fueled the financial collapse. Chronicling the rise and fall of the efficient market theory and the century-long making of the modern financial industry, Justin Fox's The Myth of the Rational Market is as much an intellectual whodunit as a cultural history of the perils and possibilities of risk. The book brings to life the people and ideas that forged modern finance and investing, from the formative days of Wall Street through the Great Depression and into the financial calamity of today. It's a tale that features professors who made and lost fortunes, battled fiercely over ideas, beat the house in blackjack, wrote bestselling books, and played major roles on the world stage. It's also a tale of Wall Street's evolution, the power of the market to generate wealth and wreak havoc, and free market capitalism's war with itself. Walter Bagehot's Lombard Street, published in 1873 in the wake of a devastating London bank collapse, explained in clear and straightforward terms why central banks must serve as the lender of last resort to ensure liquidity in a faltering credit system. Bagehot's book set down the principles that helped define the role of modern central banks, particularly in times of crisis--but the recent global financial meltdown has posed unforeseen challenges. The New Lombard Street lays out the innovative principles needed to address the instability of today's markets and to rebuild our financial system. Revealing how we arrived at the current crisis, Perry Mehrling traces the evolution of ideas and institutions in the American banking system since the establishment of the Federal Reserve in 1913. He explains how the Fed took classic central banking wisdom from Britain and Europe and adapted it to America's unique and considerably more volatile financial conditions. Mehrling demonstrates how the Fed increasingly found itself serving as the dealer of last resort to ensure the liquidity of securities markets--most dramatically amid the recent financial crisis. Now, as fallout from the crisis forces the Fed to adapt in unprecedented ways, new principles are needed to guide it. In The New Lombard Street, Mehrling persuasively argues for a return to the classic central bankers' "money view," which looks to the money market to assess risk and restore faith in our financial system. When Hank Paulson, the former CEO of Goldman Sachs, was appointed in 2006 to become the nation's next Secretary of the Treasury, he knew that his move from Wall Street to Washington would be daunting and challenging. But Paulson had no idea that a year later, he would find himself at the very epicenter of the world's most cataclysmic financial crisis since the Great Depression. Major institutions including Bear Stearns, Fannie Mae, Freddie Mac, Lehman Brothers, AIG, Merrill Lynch, and Citigroup, among others-all steeped in rich, longstanding tradition-literally teetered at the edge of collapse. Panic ensnared international markets. Worst of all, the credit crisis spread to all parts of the U.S. economy and grew more ominous with each passing day, destroying jobs across America and undermining the financial security millions of families had spent their lifetimes building. This, then, is Hank Paulson's first-person account. From the man who was in the very middle of this perfect economic storm, ON THE BRINK is Paulson's fast-paced retelling of the key decisions that had to be made with lightning speed. Paulson puts the reader in the room for all the intense moments as he addressed urgent market conditions, weighed critical decisions, and debated policy and economic considerations with of all the notable players-including the CEOs of top WallStreet firms as well as Ben Bernanke, Timothy Geithner, Sheila Bair, Nancy Pelosi, Barney Frank, presidential candidates Barack Obama and John McCain, and then-President George W. Bush. 'Before reading "The Panic of 1907", the year 1907 seemed like a long time ago and a different world. The authors, however, bring this story alive in a fast-moving book, and the reader sees how events of that time are very relevant for today's financial world. In spite of all of our advances, including a stronger monetary system and modern tools for managing risk, Bruner and Carr help us understand that we are not immune to a future crisis' - Dwight B. Crane, Baker Foundation Professor, Harvard Business School. 'Bruner and Carr provide a thorough, masterly, and highly readable account of the 1907 crisis and its management by the great private banker J. P. Morgan. Congress heeded the lessons of 1907, launching the Federal Reserve System in 1913 to prevent banking panics and foster financial stability. We still have financial problems. But because of 1907 and Morgan, a century later we have a respected central bank as well as greater confidence in our money and our banks than our great-grandparents had in theirs' -Richard Sylla, Henry Kaufman Professor of the History of Financial Institutions and Markets, and Professor of Economics, Stern School of Business, New York University. A masterful account of today's money culture, showing how the underpricing of risk leads to catastrophe.When it comes to markets, the first deadly sin is greed. Michael Lewis is our jungle guide through five of the most violent and costly upheavals in recent financial history: the crash of '87, the Russian default (and the subsequent collapse of Long-Term Capital Management), the Asian currency crisis of 1999, the Internet bubble, and the current sub-prime mortgage disaster. With his trademark humor and brilliant anecdotes, Lewis paints the mood and market factors leading up to each event, weaves contemporary accounts to show what people thought was happening at the time, and then, with the luxury of hindsight, analyzes what actually happened and what we should have learned from experience.As he proved in Liar's Poker , The New New Thing , and Moneyball , Lewis is without peer in his understanding of market forces and human foibles. He is also, arguably, the funniest serious writer in America. When the financial crisis struck in 2008, Main Street felt the blow just as hard as Wall Street. The New York Times national economics correspondent Peter S. Goodman takes us behind the headlines and exposes how the flow of capital from Asia and Silicon Valley to the suburbs of the housing bubble perverted America’s economy. He follows a real estate entrepreneur who sees endless opportunity in the underdeveloped lots of Florida—until the mortgages for them collapse. And he watches as an Oakland, California-based deliveryman, unable to land a job in the biotech industry, slides into unemployment and a homeless shelter. As Goodman shows, for two decades Americans binged on imports and easy credit, a spending spree abetted by ever-increasing home values—and then the bill came due. In the aftermath of the 2008 financial crisis, economists around the world have advanced theories to explain the persistence of high unemployment and low growth rates. According to Roger E. A. Farmer, these theories can be divided into two leading schools of thought: the ideas of pre-Keynesian scholars who blame the recession on bad economic policy, and the suggestions of "New Keynesian" scholars who propose standard modifications to select assumptions of Keynes' General Theory. But Farmer eschews both these schools of thought, arguing instead that in order to mitigate current financial crises-and prevent future ones-macroeconomic theory must become attuned to present-day conditions. Governments need to intervene in asset markets in a manner similar to the recent behavior of central banks, and principal actors in the international economy need to pursue financial stability. The primary mechanism for securing such stability would be for sovereign nations to create sovereign wealth funds backed by the present value of future tax revenues. These funds would function along the lines in which exchange-traded funds currently operate, and in time, they would become the backbone for stabilizing financial markets. Written in clear, accessible language by a prominent macroeconomic theorist, Prosperity for All proposes a paradigm shift and policy changes that could successfully raise employment rates, keep inflation at bay, and stimulate growth. Does economics hold the key to everything or does the recent financial crisis show that it has failed? This book provides an assessment of modern economics that cuts through the confusion and controversy on this question. Case studies of the creation of new markets, the Russian transition to capitalism, globalization, and money and finance establish that economics has been very successful where problems have been well defined and where the world can be changed to fit the theory, but that it has been less successful in tackling bigger problems. The book then offers a historical perspective on how economists have, since the Second World War, tried to make their subject scientific. It explores the evolving relationship between science and ideology and investigates the place of heterodoxy and dissent within the discipline. It is argued that, though there are problems with the discipline, economics is needed to combat the myths that abound concerning economic problems. Drawing on unprecedented access to Peter Muller, Ken Griffen, Clifford Asness and Boaz Weinstein -- four number-crunching titans -- The Quants tells the inside story of what they thought and felt in the days and weeks when they helplessly watched much of their net worth vaporize – and wondered just how their mind-bending formulas and genius-level IQ’s had led them so wrong, so fast. Had their years of success been dumb luck, fool’s gold, a good run that could come to an end on any given day? What if The Truth they sought -- the secret of the markets -- wasn’t knowable? Worse, what if there wasn’t any Truth? Regulating Wall Street: The Dodd-Frank Act and the New Architecture of Global Finance by Viral V. Acharya, et. al. T he Dodd-Frank Wall Street Reform and Consumer Protection Act of 2010 is everywhere described as the most ambitious and far-reaching overhaul of financial regulation since the 1930s. The Act was born of the severe financial crisis of 2007–2009 and the Great Recession that followed. It attempts to fix parts of the financial architecture that failed in the crisis. The Act is already being denounced by some for not going far enough to curb the risky behavior of financial institutions, and condemned by others for going too far and hampering innovation and efficiency in financial markets. Following Restoring Financial Stability: How to Repair a Failed System, a forensic analysis of the financial crisis of 2007–2009, forty NYU Stern faculty have produced this in-depth analysis of the Dodd-Frank Act. It provides a comprehensive description of the important parts of the Act and a balanced assessment of its likely success as the new regulatory architecture for the financial system. In 1999, in The Return of Depression Economics , Paul Krugman surveyed the economic crises that had swept across Asia and Latin America, and pointed out that those crises were a warning for all of us: like diseases that have become resistant to antibiotics, the economic maladies that caused the Great Depression were making a comeback. In the years that followed, as Wall Street boomed and financial wheeler-dealers made vast profits, the international crises of the 1990s faded from memory. But now depression economics has come to America: when the great housing bubble of the mid-2000s burst, the U.S. financial system proved as vulnerable as those of developing countries caught up in earlier crisesa-and a replay of the 1930s seems all too possible.In this new, greatly updated edition of The Return of Depression Economics , Krugman shows how the failure of regulation to keep pace with an increasingly out-of-control financial system set the United States, and the world as a whole, up for the greatest financial crisis since the 1930s. He also lays out the steps that must be taken to contain the crisis, and turn around a world economy sliding into a deep recession. Brilliantly crafted in Krugmana-s trademark stylea-lucid, lively, and supremely informeda-this new edition of The Return of Depression Economics will become an instant cornerstone of the debate over how to respond to the crisis. On March 16, 2008, Alan Greenberg, former CEO and current chairman of the executive committee of Bear Stearns, found himself in the company's offices on a Sunday. More remarkable by far than the fact that he was in the office on a Sunday is what he was doing: participating in a meeting of the board of directors to discuss selling the company he had worked decades to build for a fraction of what it had been worth as little as ten days earlier. In less than a week the value of Bear Stearns had diminished by tens of billions of dollars. As Greenberg recalls, "our most unassailable assumptionthat Bear Stearns, an independent investment firm with a proud eighty-five-year history, would be in business tomorrowhad been extinguished. . . . What was it, exactly, that had happened, and how, and why?" This book provides answers to those questions from one of Wall Street's most respected figures, the man most closely identified with Bear Stearns' decades of success.The Rise and Fall of Bear Stearnsis Alan Greenberg's remarkable story of ascending to the top of one of Wall Street's venerable powerhouse financial institutions. After joining Bear Stearns in 1949, Greenberg rose to become formally head of the firm in 1978. No one knows the history of Bear Stearns as he does; no one participated in more key decisions, right into the company's final days. Greenberg offers an honest, clear-eyed assessment of how the collapse of the company surprised him and other top executives, and he explains who he thinks was responsible. 'Henry Kaufman, over more than a half century, has seen it all: the risks, the rewards, the foibles of financial markets, and now the mother of all financial crises. His prolific writings have long commanded attention on Wall Street - but not enough. Too often his warnings, his prognoses, his recommendations have been unheeded. Now - drawing in part on earlier writings - he lays out what has gone wrong and why. Dr. Kaufman, in "The Road to Financial Reformation", does not shrink from setting guidelines for rebuilding a stronger, safer, and more productive global financial marketplace. They need careful thought by practitioners and officials alike' - Paul Volcker, Chairman of the Economic Recovery Advisory Board and former chairman of the Federal Reserve Board. Originally written for a conference of the Federal Reserve, Gary Gorton's "The Panic of 2007" garnered enormous attention and is considered by many to be the most convincing take on the recent economic meltdown. Now, in Slapped by the Invisible Hand , Gorton builds upon this seminal work, explaining how the securitized-banking system, the nexus of financial markets and instruments unknown to most people, stands at the heart of the financial crisis. Gorton shows that the Panic of 2007 was not so different from the Panics of 1907 or of 1893, except that, in 2007, most people had never heard of the markets that were involved, didn't know how they worked, or what their purposes were. Terms like subprime mortgage, asset-backed commercial paper conduit, structured investment vehicle, credit derivative, securitization, or repo market were meaningless. In this superb volume, Gorton makes all of this crystal clear. He shows that the securitized banking system is, in fact, a real banking system, allowing institutional investors and firms to make enormous, short-term deposits. But as any banking system, it was vulnerable to a panic. Indeed the events starting in August 2007 can best be understood not as a retail panic involving individuals, but as a wholesale panic involving institutions, where large financial firms "ran" on other financial firms, making the system insolvent. The shocking fall of Bear Stearns in March 2008 set off a wave of global financial turmoil that continues to ripple. How could one of the oldest, most resilient firms on Wall Street go so far astray that it had to be sold at a fire sale price? How could the guys who ran Bear so aggressively miscalculate so completely? In this vivid and dramatic narrative, Kate Kelly takes us inside Bear’s walls during its final, frenzied 72 hours as an independent firm. Expanding with fresh detail from her acclaimed front- page series in The Wall Street Journal, she captures every sight, sound, and smell of those three unbelievable days. For decades, Bear had proudly recruited “P.S.Ds”— employees who were poor, smart, and had a deep desire to become rich. An elite family or Ivy League diploma didn’t matter. Were you willing to do almost anything to make money for the firm? Were you tough enough to be a street fighter? Bear’s leaders were arrogant and didn’t play nice. But their style had made them a fortune, and had helped Bear survive every crisis from the Great Depression to the dotcom bubble. Yet as the subprime mortgage crisis began to brew, the firm’s key executives descended into civil war. Kelly reveals fresh, never-before-told details about the moves that led to that brutal final weekend. With a style as riveting as it is enlightening, Street Fighters is the definitive account of a once-great firm’s demise, and the human folly that led to the worst financial crisis since the 1930s. Stress Test is the story of Tim Geithner's education in financial crises. As president of the Federal Reserve Bank of New York and then as President Barack Obama's secretary of the Treasury, Timothy F. Geithner helped the United States navigate the worst financial crisis since the Great Depression, from boom to bust to rescue to recovery. In a candid, riveting, and historically illuminating memoir, he takes readers behind the scenes of the crisis, explaining the hard choices and politically unpalatable decisions he made to repair a broken financial system and prevent the collapse of the Main Street economy. This is the inside story of how a small group of policy makers--in a thick fog of uncertainty, with unimaginably high stakes--helped avoid a second depression but lost the American people doing it. Stress Test is also a valuable guide to how governments can better manage financial crises, because this one won't be the last. Stress Test reveals a side of Secretary Geithner the public has never seen, starting with his childhood as an American abroad. He recounts his early days as a young Treasury official helping to fight the international financial crises of the 1990s, then describes what he saw, what he did, and what he missed at the New York Fed before the Wall Street boom went bust. He takes readers inside the room as the crisis began, intensified, and burned out of control, discussing the most controversial episodes of his tenures at the New York Fed and the Treasury, including the rescue of Bear Stearns; the harrowing weekend when Lehman Brothers failed; the searing crucible of the AIG rescue as well as the furor over the firm's lavish bonuses; the battles inside the Obama administration over his widely criticized but ultimately successful plan to end the crisis; and the bracing fight for the most sweeping financial reforms in more than seventy years. Secretary Geithner also describes the aftershocks of the crisis, including the administration's efforts to address high unemployment, a series of brutal political battles over deficits and debt, and the drama over Europe's repeated flirtations with the economic abyss. Secretary Geithner is not a politician, but he has things to say about politics--the silliness, the nastiness, the toll it took on his family. But in the end, Stress Test is a hopeful story about public service. In this revealing memoir, Tim Geithner explains how America withstood the ultimate stress test of its political and financial systems. The subprime mortgage crisis has already wreaked havoc on the lives of millions of people and now it threatens to derail the U.S. economy and economies around the world. In this trenchant book, best-selling economist Robert Shiller reveals the origins of this crisis and puts forward bold measures to solve it. He calls for an aggressive response--a restructuring of the institutional foundations of the financial system that will not only allow people once again to buy and sell homes with confidence, but will create the conditions for greater prosperity in America and throughout the deeply interconnected world economy. Shiller blames the subprime crisis on the irrational exuberance that drove the economy's two most recent bubbles--in stocks in the 1990s and in housing between 2000 and 2007. He shows how these bubbles led to the dangerous overextension of credit now resulting in foreclosures, bankruptcies, and write-offs, as well as a global credit crunch. To restore confidence in the markets, Shiller argues, bailouts are needed in the short run. But he insists that these bailouts must be targeted at low-income victims of subprime deals. In the longer term, the subprime solution will require leaders to revamp the financial framework by deploying an ambitious package of initiatives to inhibit the formation of bubbles and limit risks, including better financial information; simplified legal contracts and regulations; expanded markets for managing risks; home equity insurance policies; income-linked home loans; and new measures to protect consumers against hidden inflationary effects. This powerful book is essential reading for anyone who wants to understand how we got into the subprime mess--and how we can get out. This is an Evening Standard Book of the Year 2015. Joris Luyendijk, an investigative journalist, knew as much about banking as the average person: almost nothing. Bankers, he thought, were ruthless, competitive, bonus-obsessed sharks, irrelevant to his life. And then he was assigned to investigate the financial sector. Joris immersed himself in the City for a few years, speaking to over 200 people - from the competitive investment bankers and elite hedge-fund managers to downtrodden back-office staff, reviled HR managers and those made redundant in the regular 'culls'. Breaking the strictly imposed code of secrecy and silence, these insiders talked to Joris about what they actually do all day, how they see themselves and what makes them tick. They opened up about the toxic hiring and firing culture. They confessed to being overwhelmed by technological and mathematical opacity. They admitted that when Lehman Brothers went down in 2008 they hoarded food, put their money in gold and prepared to evacuate their children to the countryside. They agreed that nothing has changed since the crash. Joris had a chilling realisation. What if the bankers themselves aren't the real enemy? What if the truth about global finance is more sinister than that? In the wake of the financial crisis of 2008, the largest banks at its center have emerged bigger, more profitable, and more resistant to regulation, even as they continue to wield power in Washington. Without an effective government crackdown on their deleterious, conventional practices, these banks—“too big to fail” and holding the global economy hostage—threaten to create yet another crippling economic downturn. The choice that our political and economic system faces is stark: accede to the vested interests of an unfettered financial sector that runs up profits in good years and dumps its losses on taxpayers in lean years, or reform, through stringent regulation, the banking system as an engine of economic growth. In 13 Bankers, Simon Johnson—one of the most prominent economists in America (former chief economist of the International Monetary Fund, professor of entrepreneurship at MIT, and author of the controversial and much debated “The Quiet Coup” in The Atlantic)—and James Kwak examine not only how Wall Street’s ideology, wealth, and political power among policy makers in Washington led to the financial debacle of 2008, but also what the lessons learned portend for the future. To restore health and balance to our economy, they argue, we must confront the political force of big finance and reverse the inside-the-Beltway consensus that what is good for Wall Street is good for Main Street. Throughout history, rich and poor countries alike have been lending, borrowing, crashing--and recovering--their way through an extraordinary range of financial crises. Each time, the experts have chimed, "this time is different"--claiming that the old rules of valuation no longer apply and that the new situation bears little similarity to past disasters. This book proves that premise wrong. Covering sixty-six countries across five continents, This Time Is Different presents a comprehensive look at the varieties of financial crises, and guides us through eight astonishing centuries of government defaults, banking panics, and inflationary spikes--from medieval currency debasements to today's subprime catastrophe. Carmen Reinhart and Kenneth Rogoff, leading economists whose work has been influential in the policy debate concerning the current financial crisis, provocatively argue that financial combustions are universal rites of passage for emerging and established market nations. The authors draw important lessons from history to show us how much--or how little--we have learned. Using clear, sharp analysis and comprehensive data, Reinhart and Rogoff document that financial fallouts occur in clusters and strike with surprisingly consistent frequency, duration, and ferocity. They examine the patterns of currency crashes, high and hyperinflation, and government defaults on international and domestic debts--as well as the cycles in housing and equity prices, capital flows, unemployment, and government revenues around these crises. While countries do weather their financial storms, Reinhart and Rogoff prove that short memories make it all too easy for crises to recur. An important book that will affect policy discussions for a long time to come, This Time Is Different exposes centuries of financial missteps. A real-life thriller about the most tumultuous period in America's financial history by an acclaimed New York Times Reporter. Andrew Ross Sorkin delivers the first true behind-the-scenes, moment-by-moment account of how the greatest financial crisis since the Great Depression developed into a global tsunami. From inside the corner office at Lehman Brothers to secret meetings in South Korea, Russia, and the corridors of Washington, Too Big to Fail is the definitive story of the most powerful men and women in finance and politics grappling with success and failure, ego and greed, and, ultimately, the fate of the world's economy. Through unprecedented access to the players involved, Too Big to Fail re-creates all the drama and turmoil, revealing neverdisclosed details and elucidating how decisions made on Wall Street over the past decade sowed the seeds of the debacle. This true story is not just a look at banks that were "too big to fail," it is a real-life thriller with a cast of bold-faced names who themselves thought they were too big to fail. Industry luminary Robert Pozen offers his insights on the future of U.S. finance. The recent credit crisis and the resulting bailout program are unprecedented events in the financial industry. While it's important to understand what got us here, it's even more important to consider how we should get out. While there is little question that immediate action was required to stabilize the situation, it is now time to look for a long-term plan to reform the United States financial industry. That is where Bob Pozen comes in. Perhaps more than anyone in the industry, Pozen commands the respect and attention of the public and private sector. In this timely guide, he outlines his vision for the new financial future and provides actionable advice along the way. To Pozen, there are four high-priority problems that must be addressed, and this book puts them in perspective. This book analyzes alternative models for government stakes in banks. It recommends a new board structure for large financial institutions. It examines the importance of broader Fed jurisdiction over systemic risks. It proposes a way to revive the securitization of loans. With "Too Big to Save", you'll learn the likely future of the finance industry and understand why changes have to be made. Now fully updated with the latest financial developments, this is the bestselling book that briefly and brilliantly explains how we got into the economic mess that is the Credit Crunch. With the housing markets unravelling daily and distress signals flying throughout the rest of the economy, there is little doubt that we are facing a fierce recession. In crisp, gripping prose, Charles R. Morris shows how got into this mess. He explains the arcane financial instruments, the chicanery, the policy misjudgments, the dogmas, and the delusions that created the greatest credit bubble in world history. Paul Volcker slew the inflation dragon in the early 1980s, and set the stage for the high performance economy of the 1980s and 1990s. But Wall Street's prosperity soon tilted into gross excess. The astronomical leverage at major banks and their hedge fund and private equity clients led to massive disruption in global markets. A quarter century of free-market zealotry that extolled asset stripping, abusive lending, and hedge fund secrecy will go down in flames with it. Continued denial and concealment could cause the crisis to stretch out for years, but financial and government leaders are still downplaying the problem. The required restructuring will be at least as painful as the very difficult period of1979-1983. The Two Trillion-Dollar Meltdown, updated to include the latest financial developments, is indispensable to understanding how the world economy has been put on the brink. A critical look at over 80 years of conflict, collusion, and corruption between financiers and politicians. Undue Influence paints a vivid portrait of the dealings between "the few", in this case members of Congress, the banking community, and the Fed, and sheds light on how radical new deregulatory measures could be introduced by unelected officials and then foisted upon Congress in the name of progress. In the process, the background of the new financial elite is examined-because they are markedly different than their predecessors of the 1920s and 1930s. Undue Influence also brings readers up to speed on other important issues, including how the financial elite has been able to perpetuate itself, how the markets lend themselves to these special interest groups, and how it is possible that after 80 years of financial regulation and regulatory bodies the same problems of financial malfeasance and fraud still plague the markets. 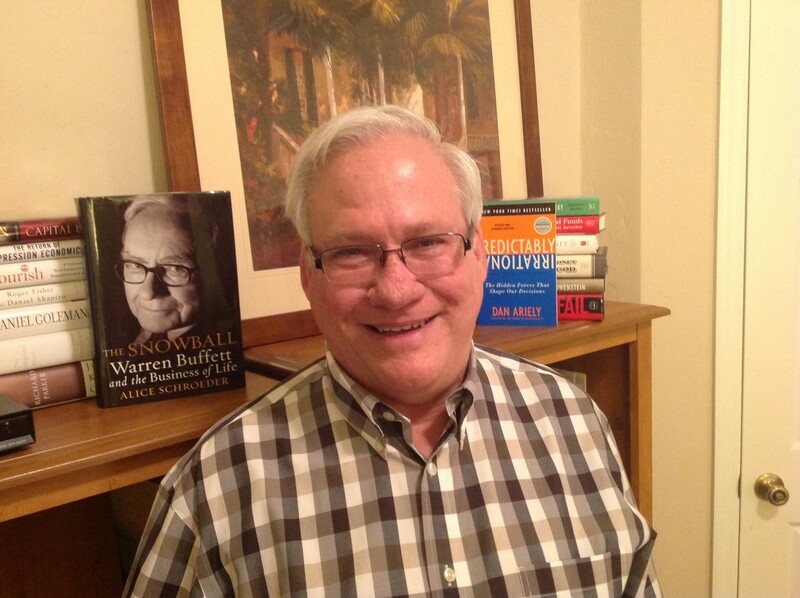 Charles R. Geisst (Oradell, NJ) is the author of 15 books, including Wheels of Fortune, Deals of the Century and the bestsellers Wall Street: A History and 100 Years of Wall Street. Geisst has taught both political science and finance, worked in banking and finance on Wall Street and in London, as well as consulted. His articles have been published in the International Herald Tribune, Neue Zurcher Zeitung, Newsday, Wall Street Journal, and Euromoney. Commercial banks are among the oldest and most familiar financial institutions. When they work well, we hardly notice; when they do not, we rail against them. What are the historical forces that have shaped the modern banking system? In Unsettled Account, Richard Grossman takes the first truly comparative look at the development of commercial banking systems over the past two centuries in Western Europe, the United States, Canada, Japan, and Australia. Grossman focuses on four major elements that have contributed to banking evolution: crises, bailouts, mergers, and regulations. He explores where banking crises come from and why certain banking systems are more resistant to crises than others, how governments and financial systems respond to crises, why merger movements suddenly take off, and what motivates governments to regulate banks. Wall Street is an unending source of legend--and nightmares. It is a universal symbol of both the highest aspirations of economic prosperity and the basest impulses of greed and deception. Charles R. Geisst'sWall Streetis at once a chronicle of the street itself--from the days when the wall was merely a defensive barricade built by Peter Stuyvesant--and an engaging economic history of the United States, a tale of profits and losses, enterprising spirits, and key figures that transformed America into the most powerful economy in the world. The book traces many themes, like the move of industry and business westward in the early 19th century, the rise of the great Robber Barons, and the growth of industry from the securities market's innovative financing of railroads, major steel companies, and Bell's and Edison's technical innovations. And because "The Street" has always been a breeding ground for outlandish characters with brazen nerve, no history of the stock market would be complete without a look at the conniving of ruthless wheeler-dealers and lesser known but influential rogues. This updated edition covers the historic, almost apocalyptic events of the 2008 financial crisis and the overarching policy changes of the Obama administration. As Wall Street and America have changed irrevocably after the crisis, Charles R. Geisst offers the definitive chronicle of the relationship between the two, and the challenges and successes it has fostered that have shaped our history. In What Caused the Financial Crisis leading economists and scholars delve into the major causes of the worst financial collapse since the Great Depression and, together, present a comprehensive picture of the factors that led to it. One essay examines the role of government regulation in expanding home ownership through mortgage subsidies for impoverished borrowers, encouraging the subprime housing bubble. Another explores how banks were able to securitize mortgages by manipulating criteria used for bond ratings. How this led to inaccurate risk assessments that could not be covered by sufficient capital reserves mandated under the Basel accords is made clear in a third essay. Other essays identify monetary policy in the United States and Europe, corporate pay structures, credit-default swaps, banks' leverage, and financial deregulation as possible causes of the crisis. With contributions from Richard A. Posner, Vernon L. Smith, Joseph E. Stiglitz, and John B. Taylor, among others, What Caused the Financial Crisis provides a cogent, comprehensive, and credible explanation of why the crisis happened. It will be an essential resource for scholars and students of finance, economics, history, law, political science, and sociology, as well as others interested in the financial crisis and the nature of modern capitalism and regulation. Founded by John Meriweather, a notoriously confident bond dealer, along with two Nobel prize winners and a floor of Wall Street's brightest and best, long-term capital management was from the beginning hailed as a new gold standard in investing. It was to be the hedge fund to end all other hedge funds: a discreet private investment club limited to those rich enough to pony up millions. It became the banks' own favourite fund and from its inception achieved a run of dizzyingly spectacular returns. New investors barged each other aside to get their investment money into LTCM's hands. But as competitors began to mimic Meriweather's fund, he altered strategy to maintain the fund's performance, leveraging capital with credit on a scale not fully understood and never seen before. When the markets in Indonesia, South America and Russia crashed in 1998 LCTM's investments crashed with them and mountainous debts accumulated. The fund was in melt-down, and threatening to bring down into its trillion-dollar black hole a host of financial institutions from New York to Switzerland. It is a tale of vivid characters, overwheening ambition and perilous drama told, in Roger Lowenstein's hands, with style and panache. When Washington Shut Down Wall Streetunfolds like a mystery story. It traces Treasury Secretary William Gibbs McAdoo's triumph over a monetary crisis at the outbreak of World War I that threatened the United States with financial disaster. The biggest gold outflow in a generation imperiled America's ability to repay its debts abroad. Fear that the United States would abandon the gold standard sent the dollar plummeting on world markets. Without a central bank in the summer of 1914, the United States resembled a headless financial giant. William McAdoo stepped in with courageous action, we read in Silber's gripping account. He shut the New York Stock Exchange for more than four months to prevent Europeans from selling their American securities and demanding gold in return. He smothered the country with emergency currency to prevent a replay of the bank runs that swept America in 1907. And he launched the United States as a world monetary power by honoring America's commitment to the gold standard. His actions provide a blueprint for crisis control that merits attention today. McAdoo's recipe emphasizes an exit strategy that allows policymakers to throttle a crisis while minimizing collateral damage. When Washington Shut Down Wall Streetrecreates the drama of America's battle for financial credibility. McAdoo's accomplishments place him alongside Paul Volcker and Alan Greenspan as great American financial leaders. McAdoo, in fact, nursed the Federal Reserve into existence as the 1914 crisis waned and served as the first Chairman of the Federal Reserve Board. America is mired in debt-more than $30,000 for every man, woman, and child. Bitter fighting over deficits, taxes, and spending bedevils Washington, D.C., even as partisan gridlock has brought the government to the brink of default. Yet the more politicians on both sides of the aisle rant and the citizenry fumes, the more things seem to remain the same. InWhite House Burning,Simon Johnson and James Kwak-authors of the national best seller13 Bankersand cofounders ofThe Baseline Scenario,a widely cited blog on economics and public policy-demystify the national debt, explaining whence it came and, even more important, what it means to you and to future generations. They tell the story of the Founding Fathers’ divisive struggles over taxes and spending. They chart the rise of the almighty dollar, which makes it easy for the United States to borrow money. They account for the debasement of our political system in the 1980s and 1990s, which produced today’s dysfunctional and impotent Congress. And they show how, if we persist on our current course, the national debt will harm ordinary Americans by reducing the number of jobs, lowering living standards, increasing inequality, and forcing a sudden and drastic reduction in the government services we now take for granted. But Johnson and Kwak also provide a clear and compelling vision for how our debt crisis can be solved while strengthening our economy and preserving the essential functions of government. They debunk the myth that such crucial programs as Social Security and Medicare must be slashed to the bone.White House Burninglooks squarely at the burgeoning national debt and proposes to defuse its threat to our well-being without forcing struggling middle-class families and the elderly into poverty. Carefully researched and informed by the same compelling storytelling and lucid analysis as13 Bankers, White House Burningis an invaluable guide to the central political and economic issue of our time. It is certain to provoke vigorous debate. Today is thy last any at Goldman Sachs. After almost 12 years at the firm-first as a summer intern while at Stanford, then in New York for 10 years, and now in Landon-I believe I have worked here long enough to understand the trajectory of its culture, its people and its identity. And I aid honestly jay that the environment now is as toxic and destructive as I have ever seen it. Perhaps no economist was more vindicated by the global financial crisis than Hyman P. Minsky (1919-96). Although a handful of economists raised alarms as early as 2000, Minsky's warnings began a half-century earlier, with writings that set out a compelling theory of financial instability. Yet even today he remains largely outside mainstream economics; few people have a good grasp of his writings, and fewer still understand their full importance. Why Minsky Matters makes the maverick economist's critically valuable insights accessible to general readers for the first time. L. Randall Wray shows that by understanding Minsky we will not only see the next crisis coming but we might be able to act quickly enough to prevent it. As Wray explains, Minsky's most important idea is that "stability is destabilizing": to the degree that the economy achieves what looks to be robust and stable growth, it is setting up the conditions in which a crash becomes ever more likely. Before the financial crisis, mainstream economists pointed to much evidence that the economy was more stable, but their predictions were completely wrong because they disregarded Minsky's insight. Wray also introduces Minsky's significant work on money and banking, poverty and unemployment, and the evolution of capitalism, as well as his proposals for reforming the financial system and promoting economic stability. A much-needed introduction to an economist whose ideas are more relevant than ever, Why Minsky Matters is essential reading for anyone who wants to understand why economic crises are becoming more frequent and severe--and what we can do about it. In the graveyard of economic ideology, dead ideas still stalk the land. The recent financial crisis laid bare many of the assumptions behind market liberalism--the theory that market-based solutions are always best, regardless of the problem. For decades, their advocates dominated mainstream economics, and their influence created a system where an unthinking faith in markets led many to view speculative investments as fundamentally safe. The crisis seemed to have killed off these ideas, but they still live on in the minds of many--members of the public, commentators, politicians, economists, and even those charged with cleaning up the mess. In Zombie Economics, John Quiggin explains how these dead ideas still walk among us--and why we must find a way to kill them once and for all if we are to avoid an even bigger financial crisis in the future. Zombie Economics takes the reader through the origins, consequences, and implosion of a system of ideas whose time has come and gone. These beliefs--that deregulation had conquered the financial cycle, that markets were always the best judge of value, that policies designed to benefit the rich made everyone better off--brought us to the brink of disaster once before, and their persistent hold on many threatens to do so again. Because these ideas will never die unless there is an alternative, Zombie Economics also looks ahead at what could replace market liberalism, arguing that a simple return to traditional Keynesian economics and the politics of the welfare state will not be enough--either to kill dead ideas, or prevent future crises.